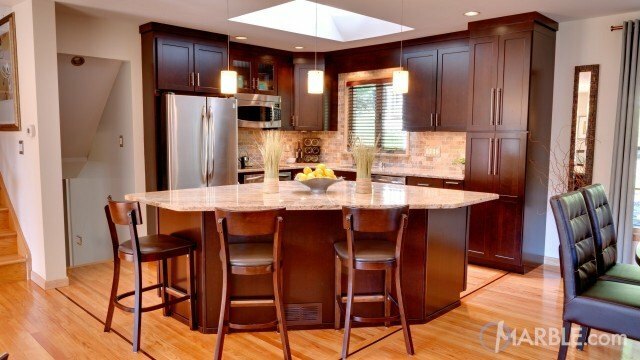 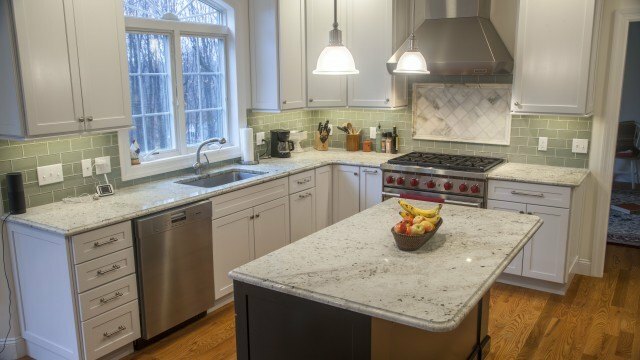 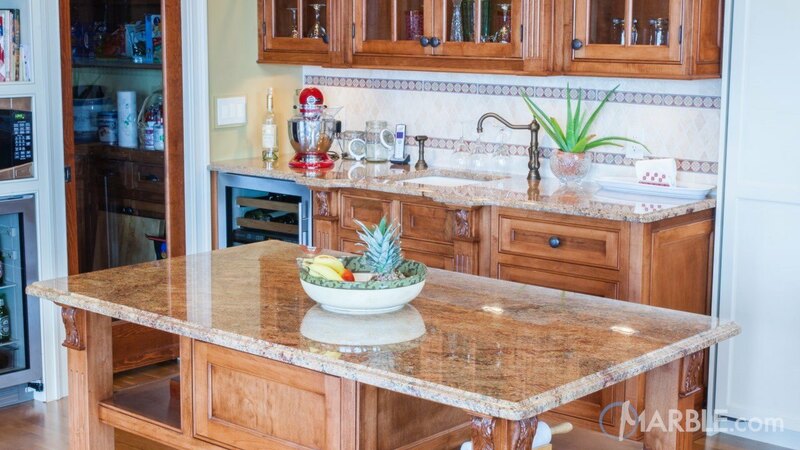 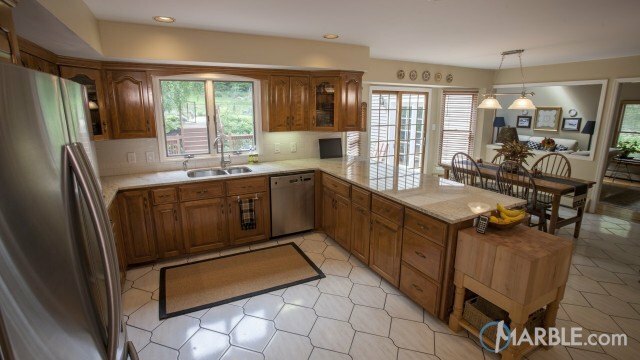 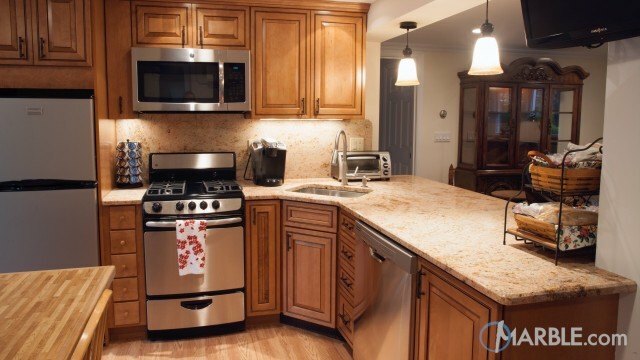 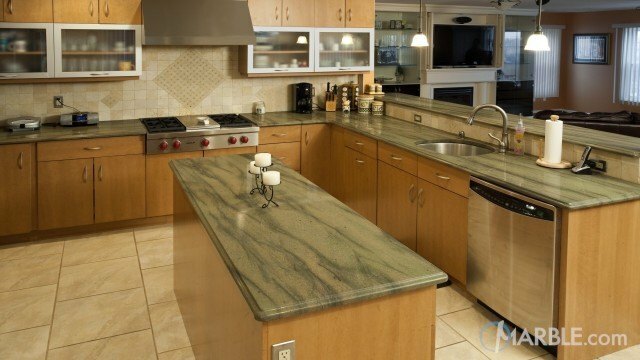 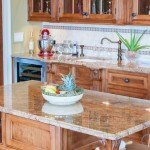 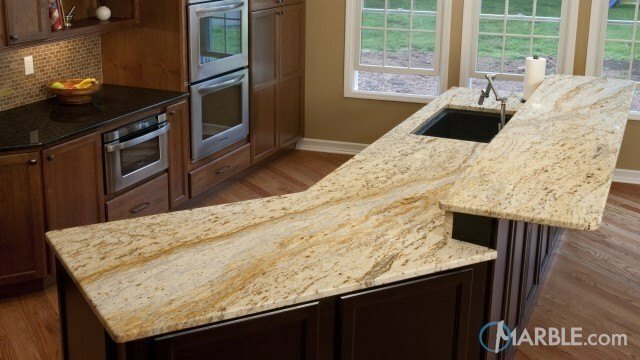 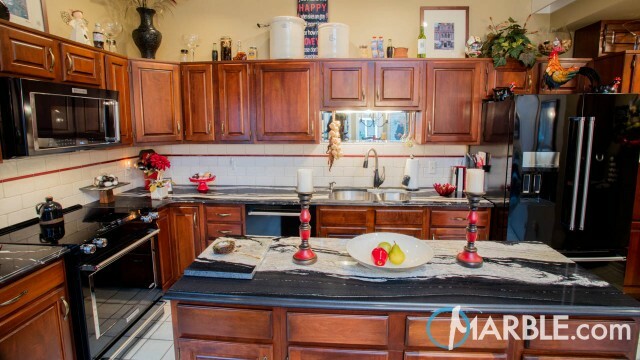 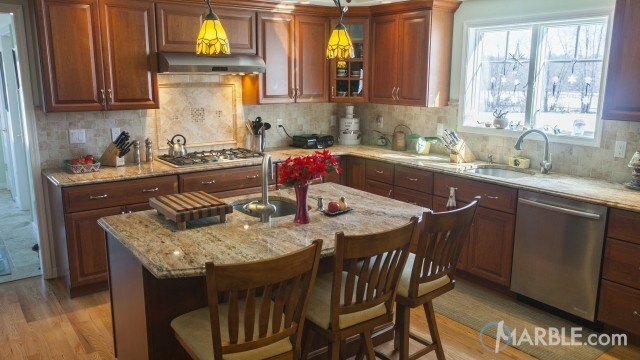 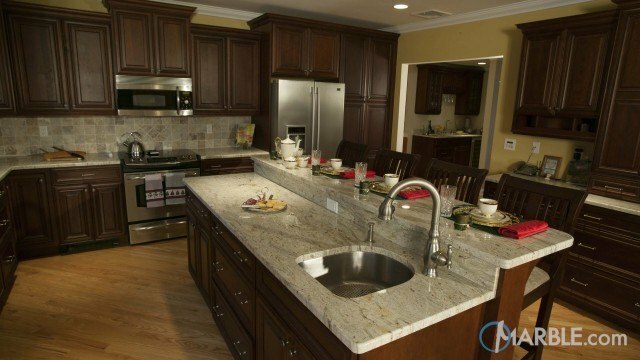 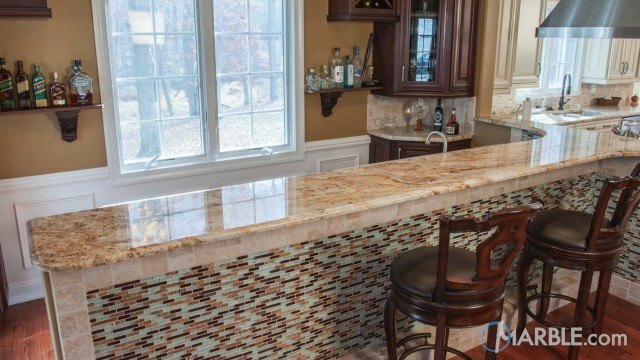 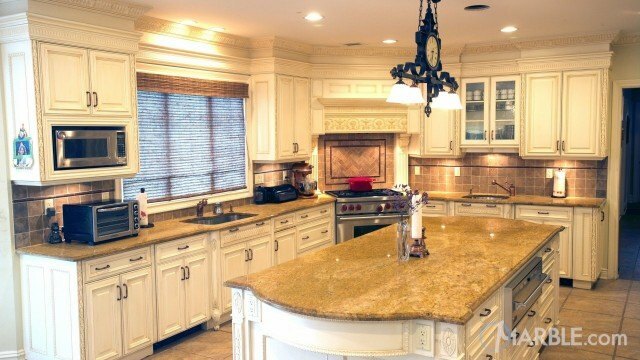 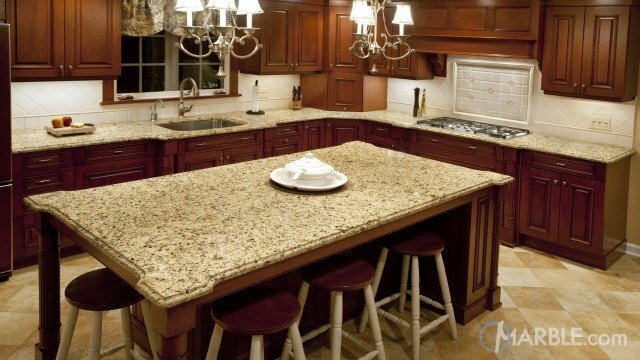 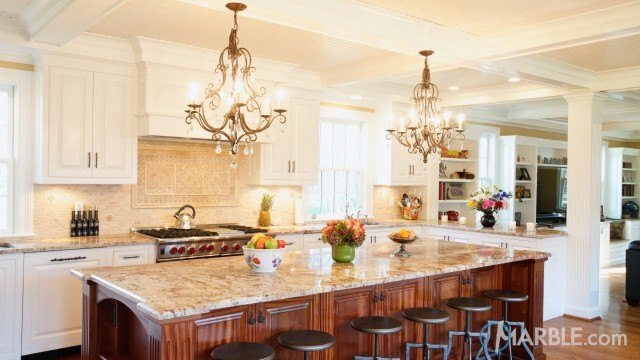 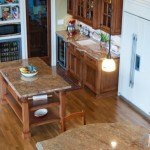 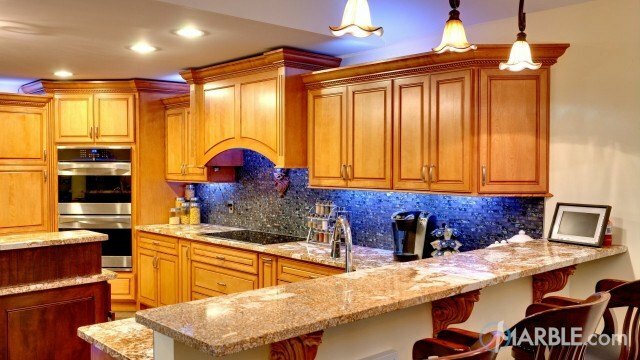 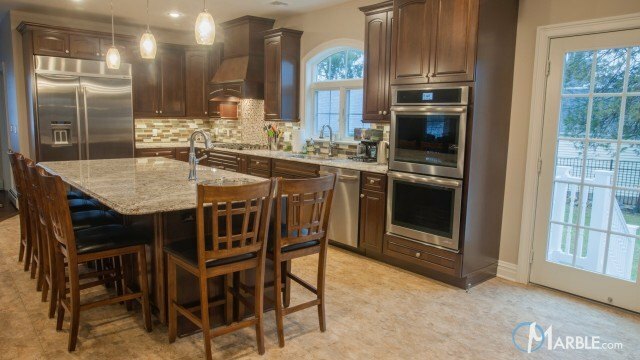 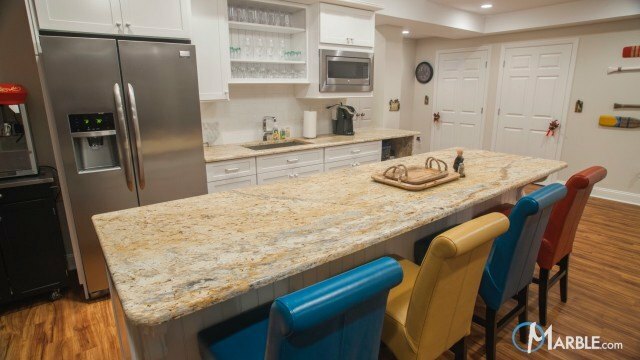 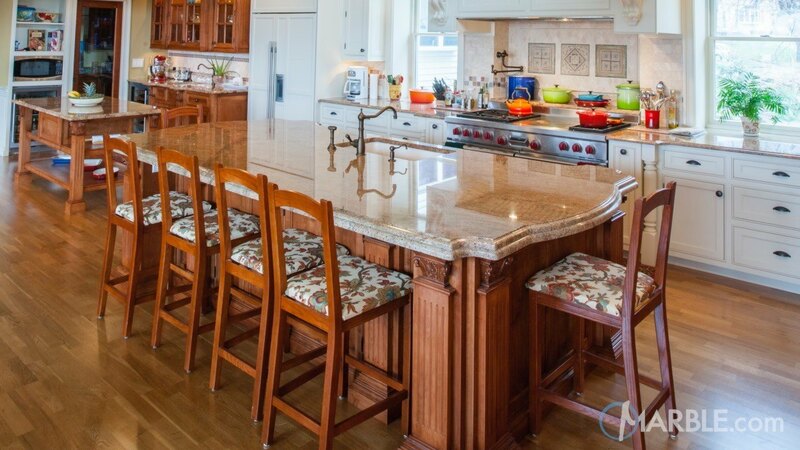 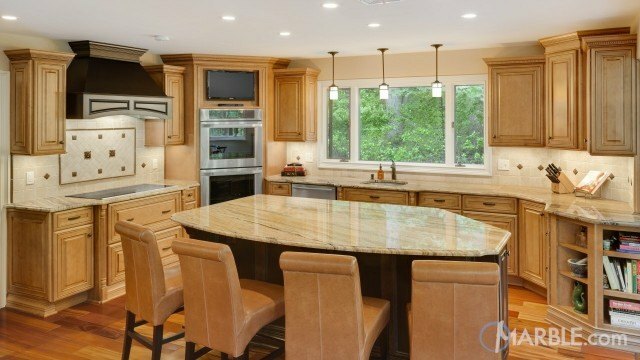 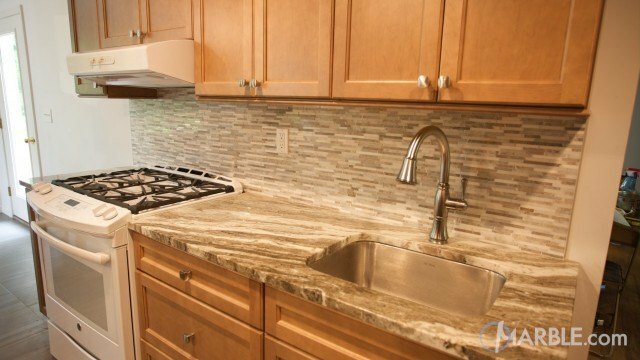 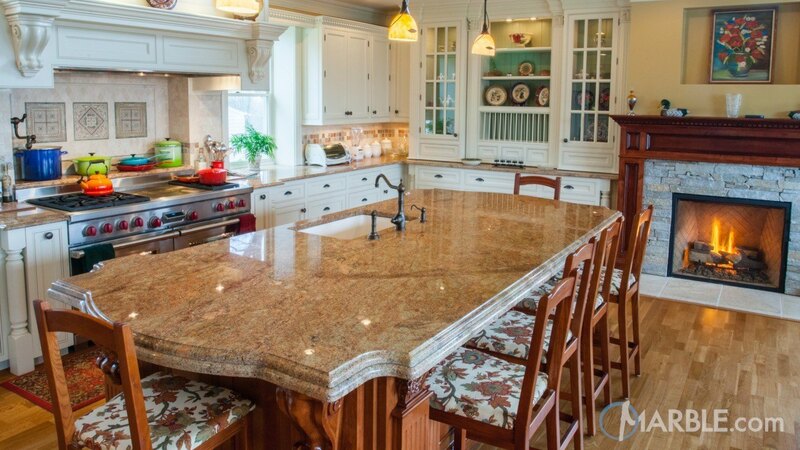 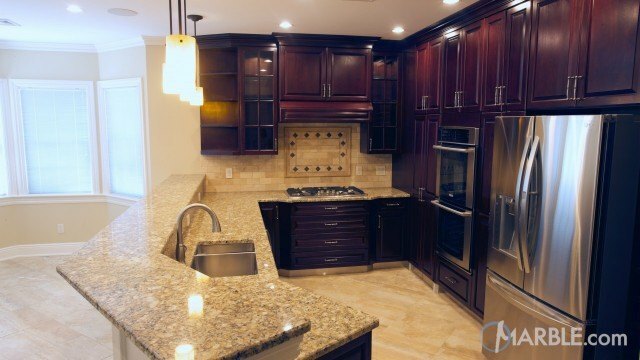 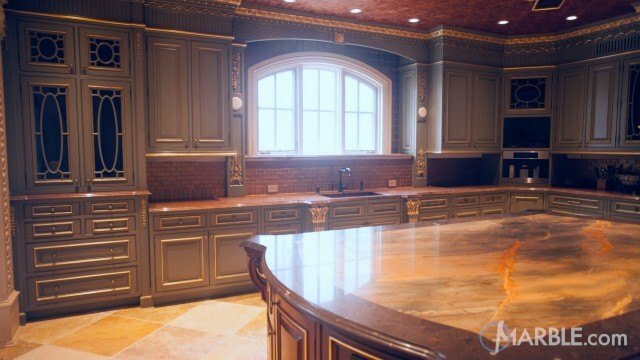 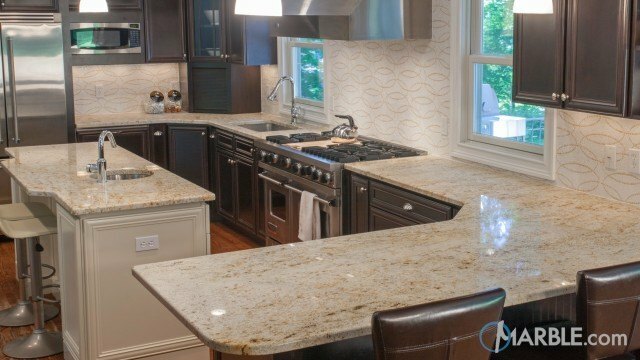 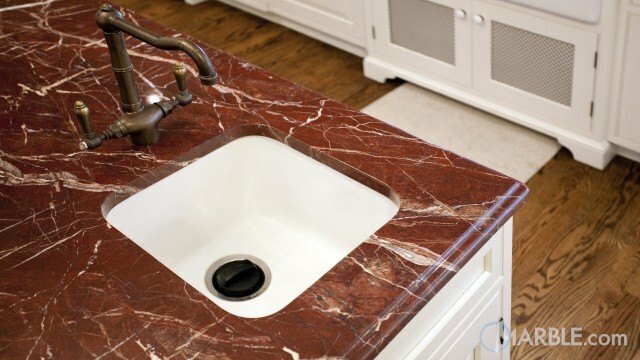 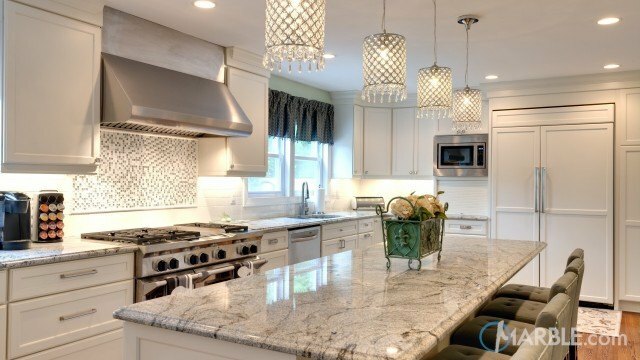 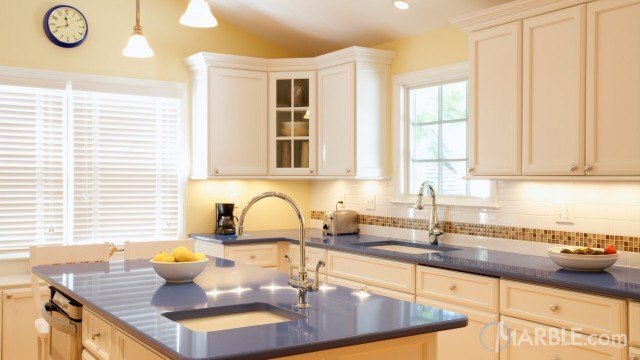 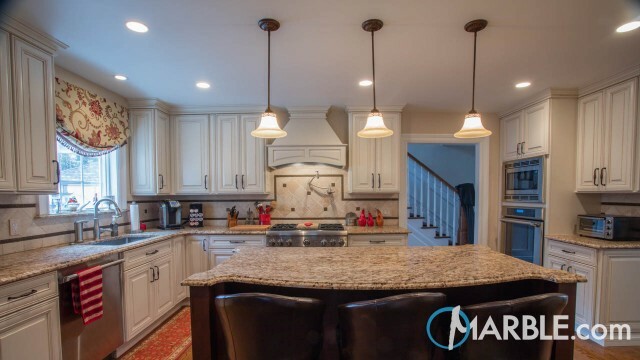 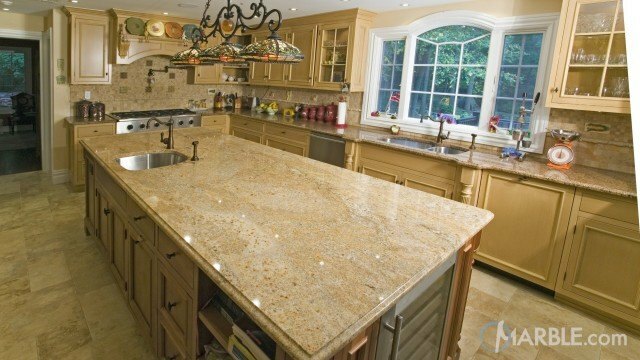 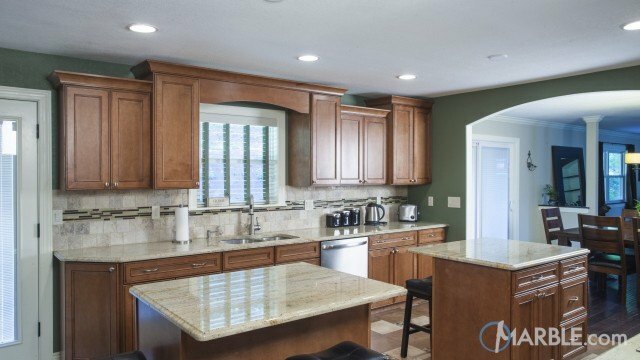 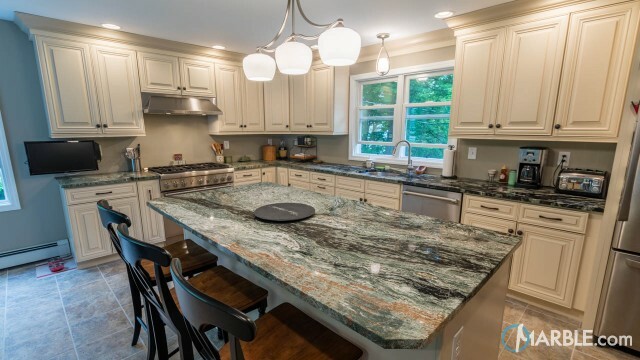 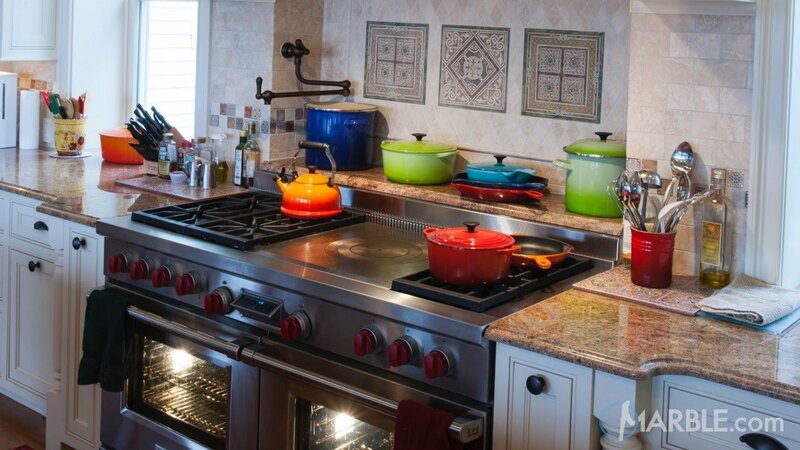 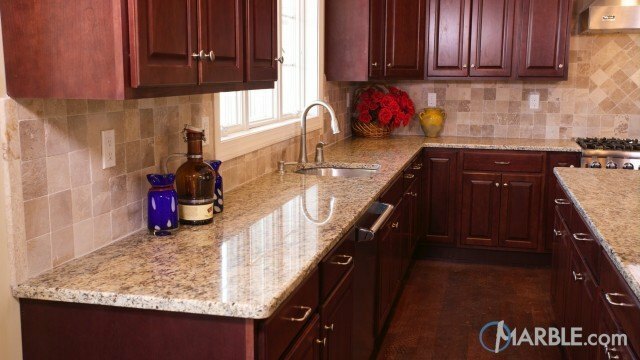 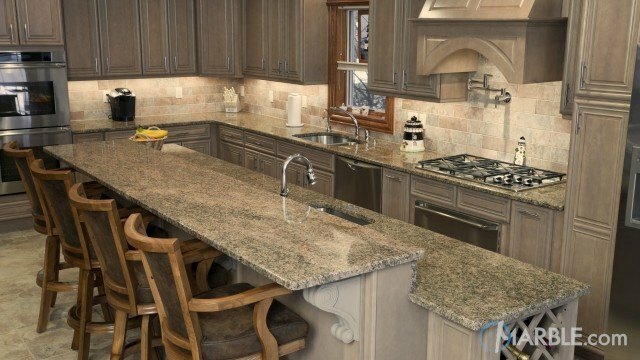 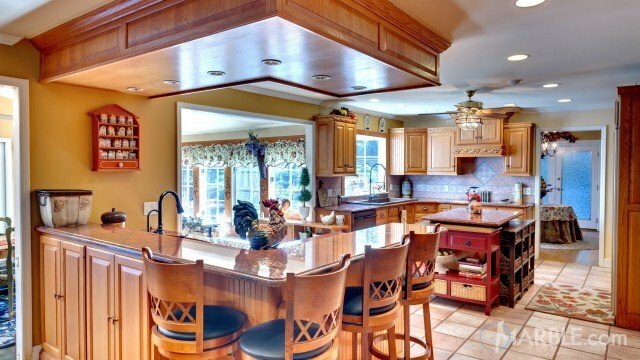 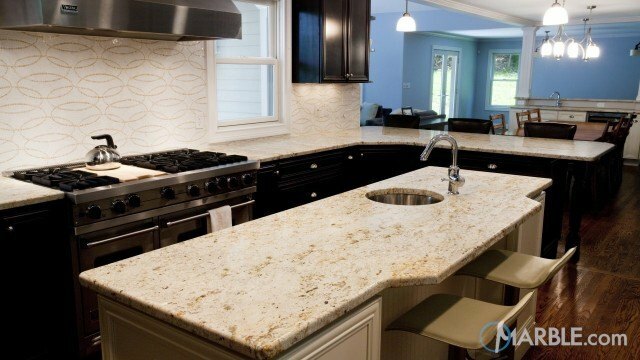 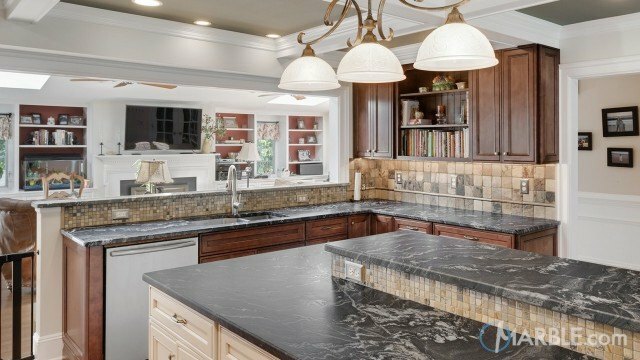 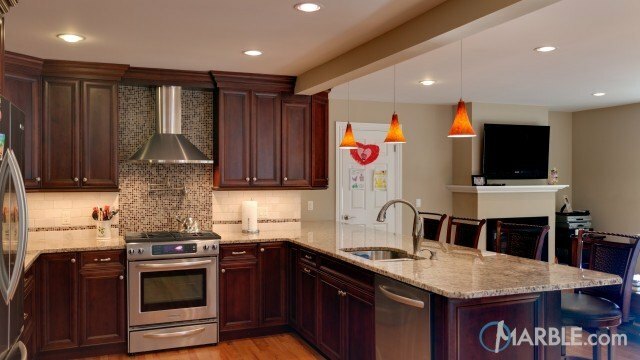 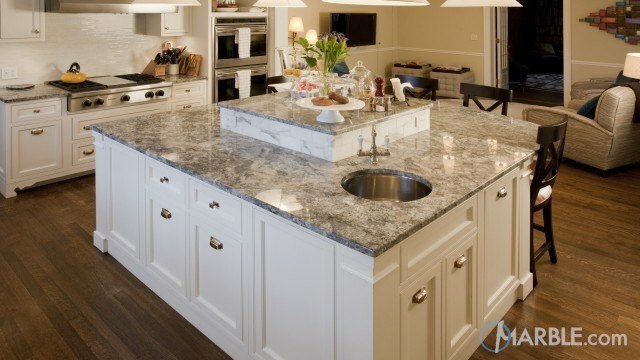 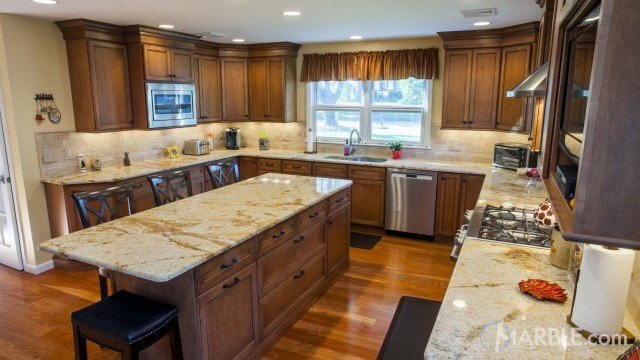 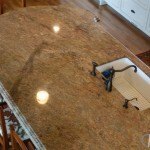 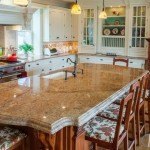 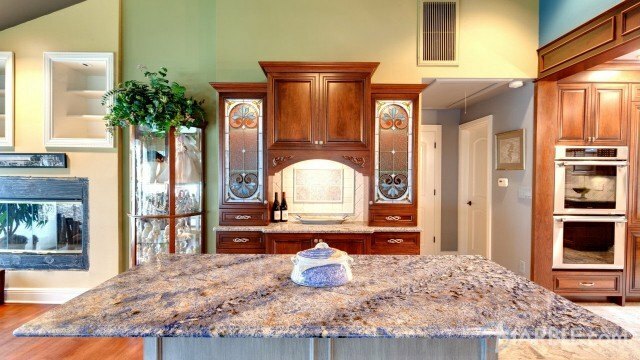 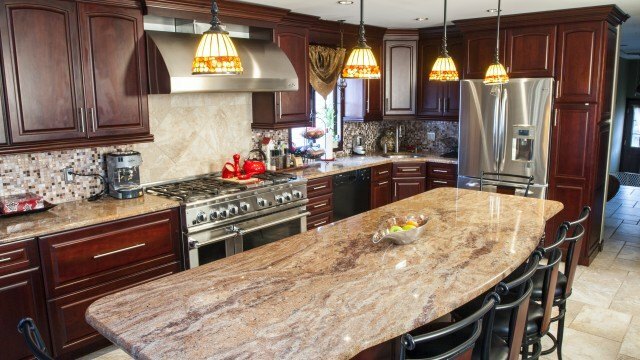 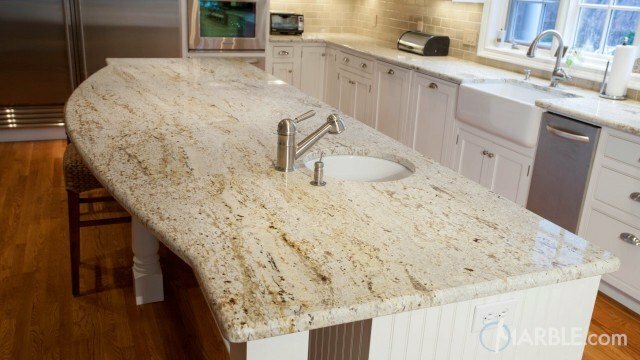 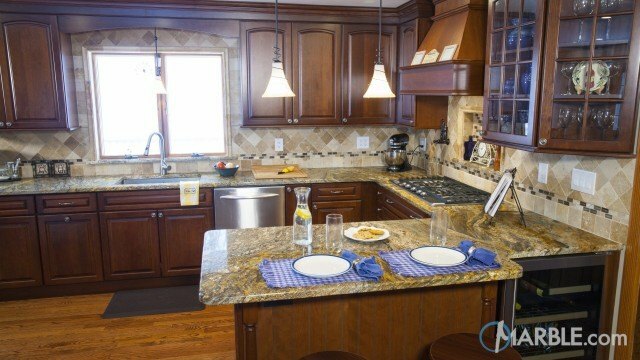 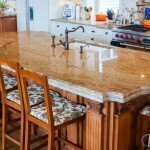 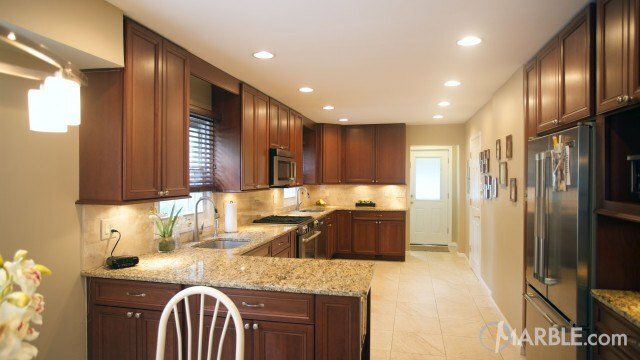 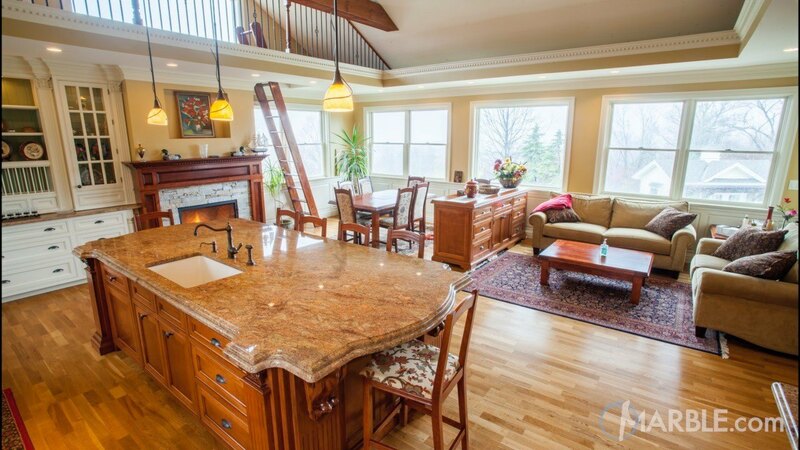 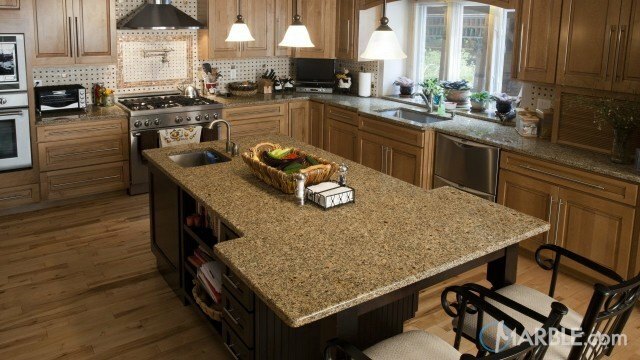 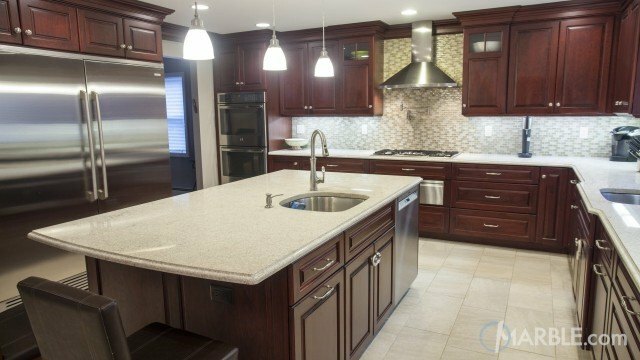 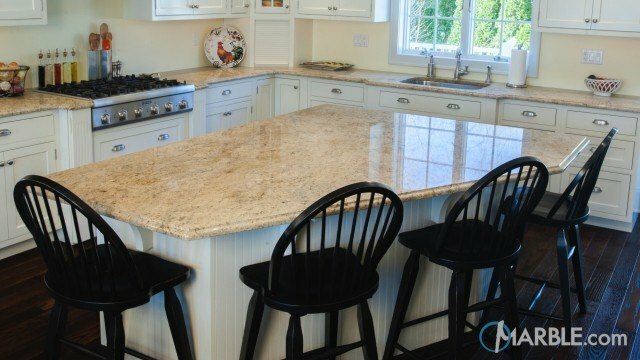 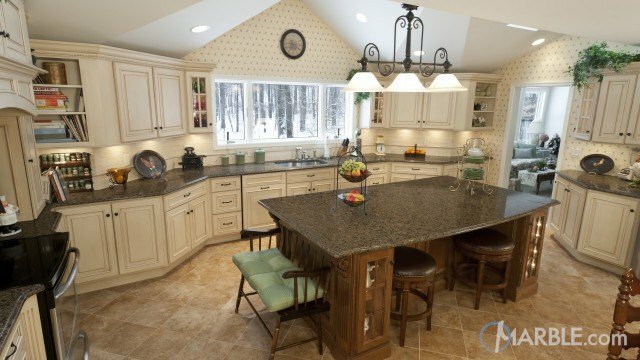 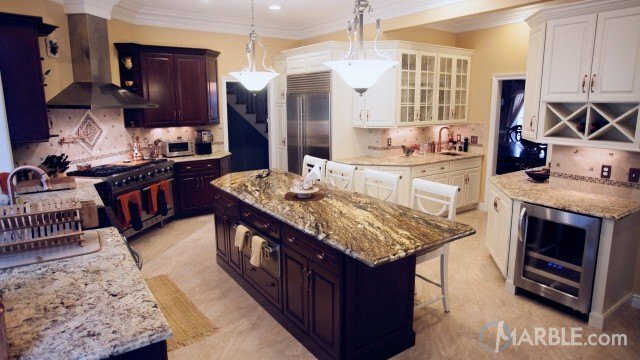 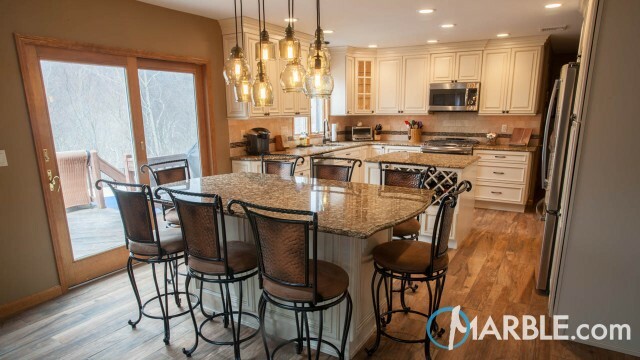 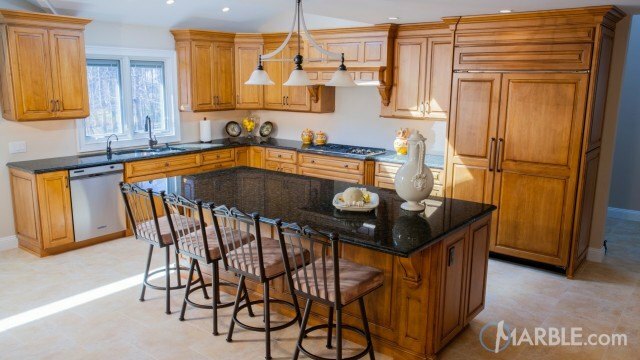 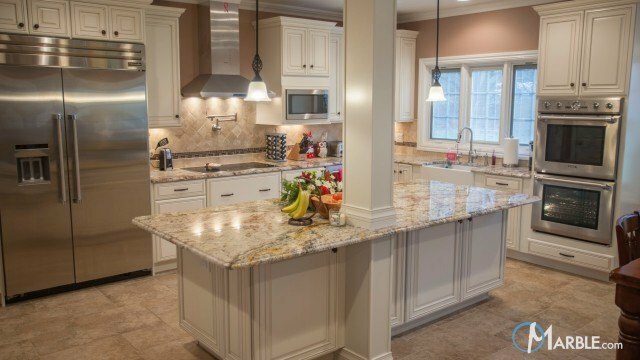 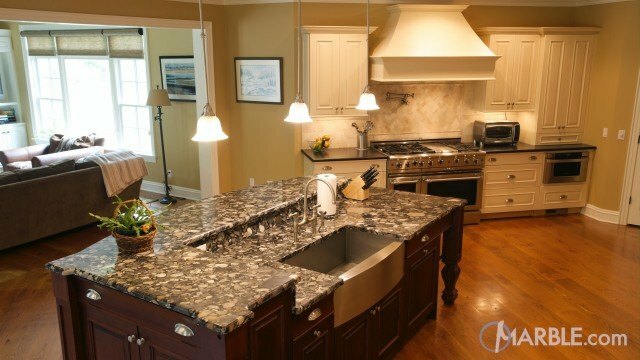 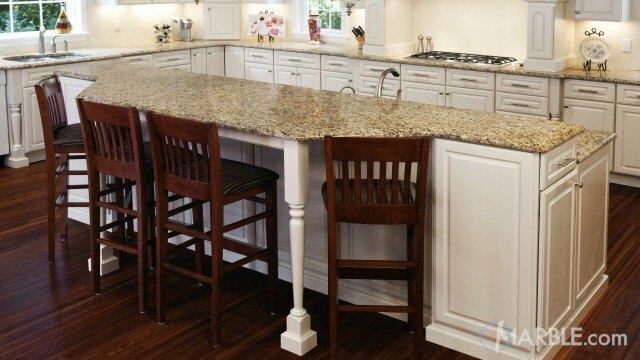 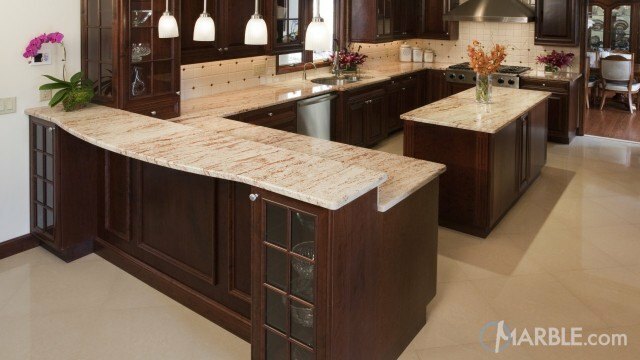 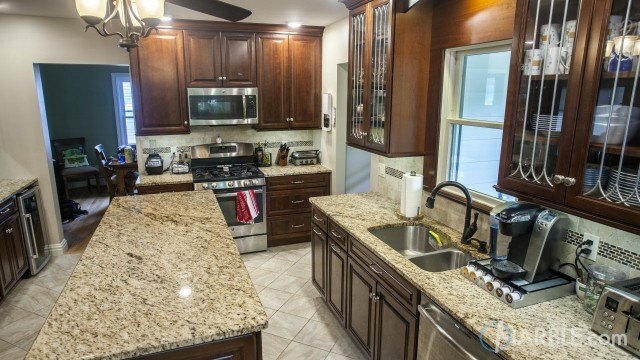 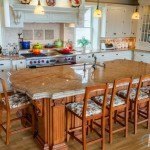 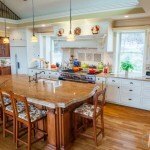 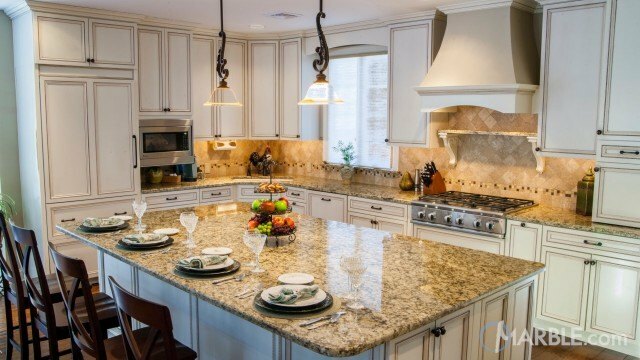 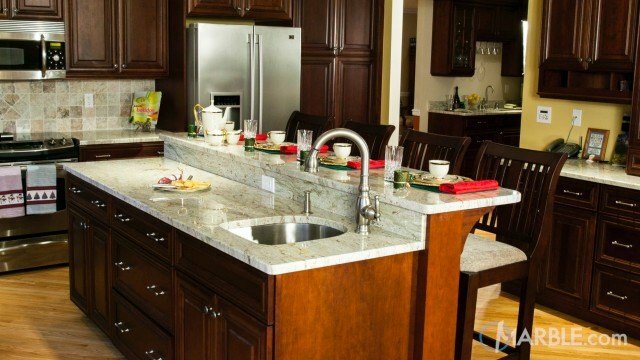 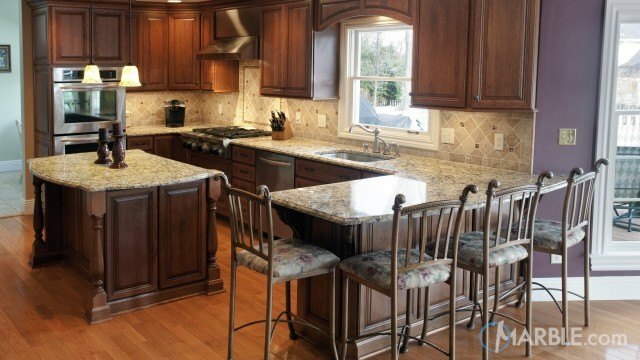 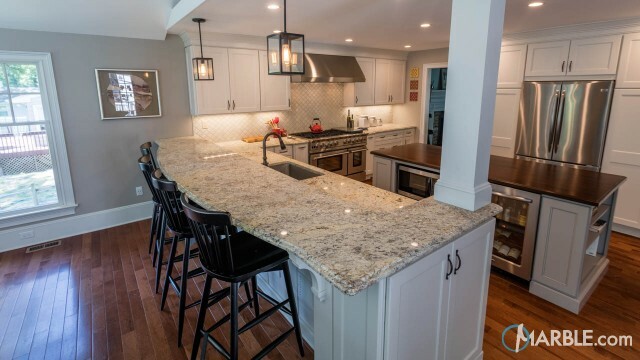 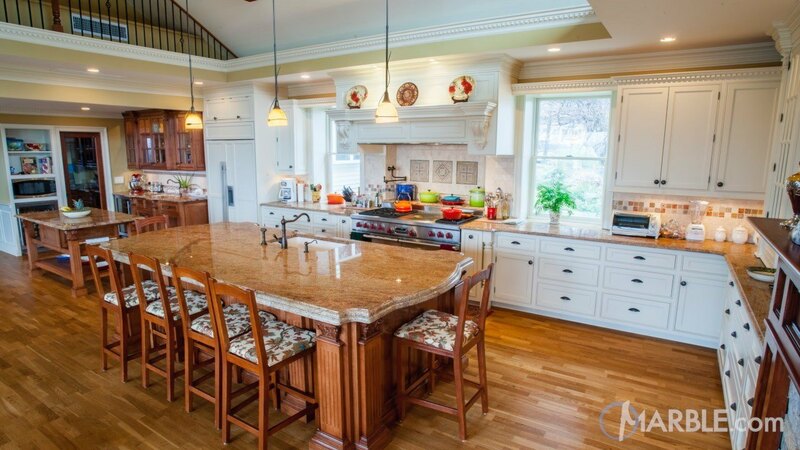 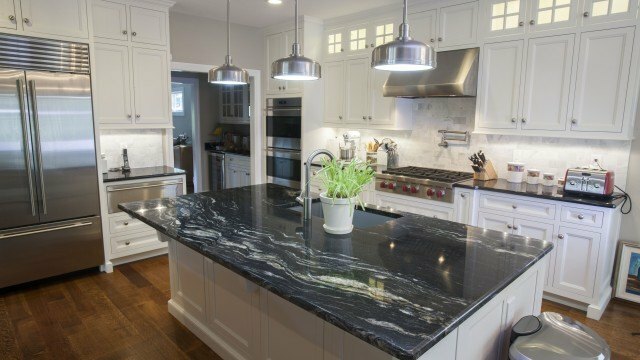 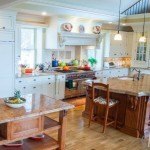 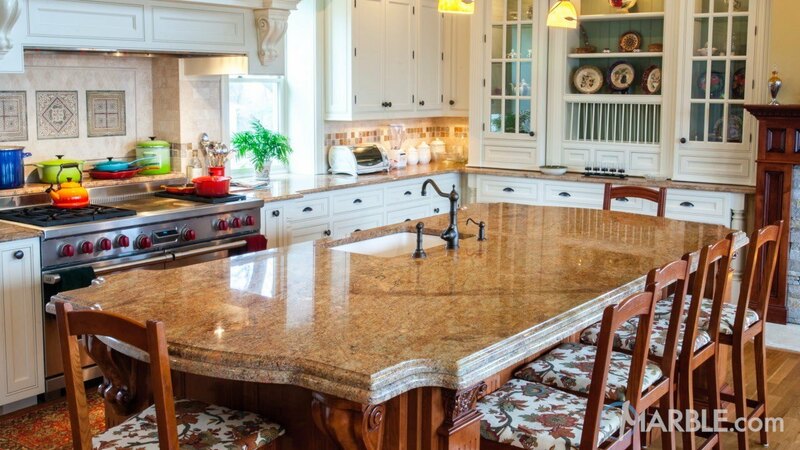 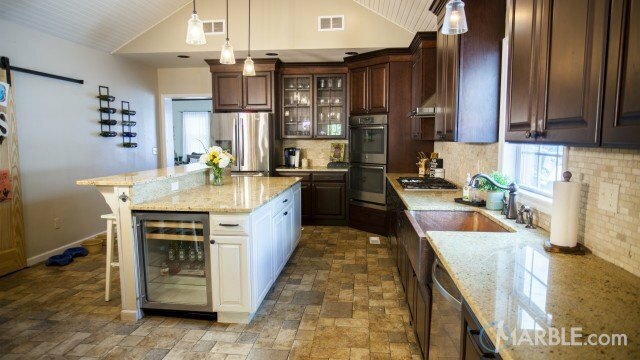 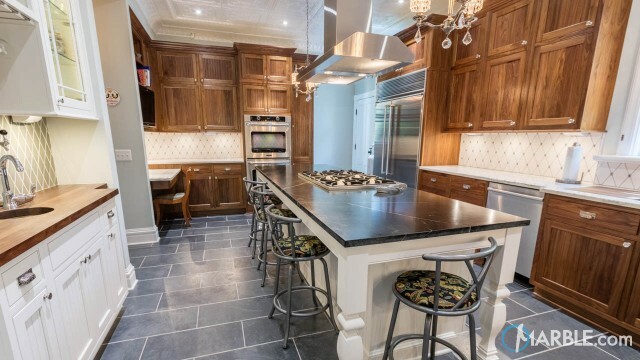 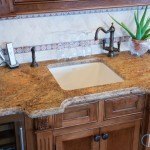 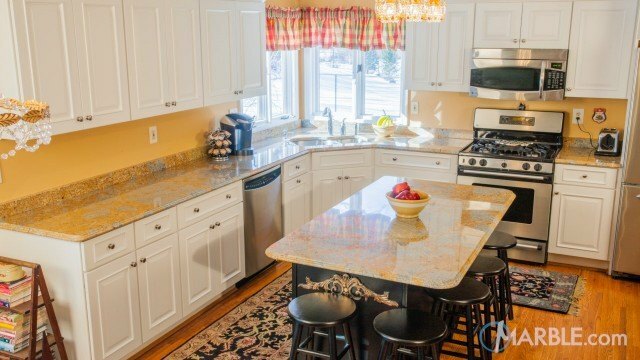 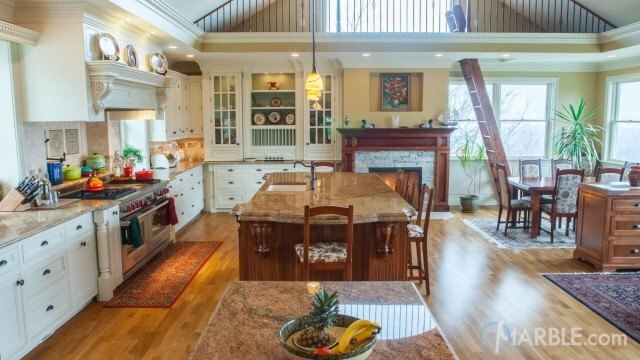 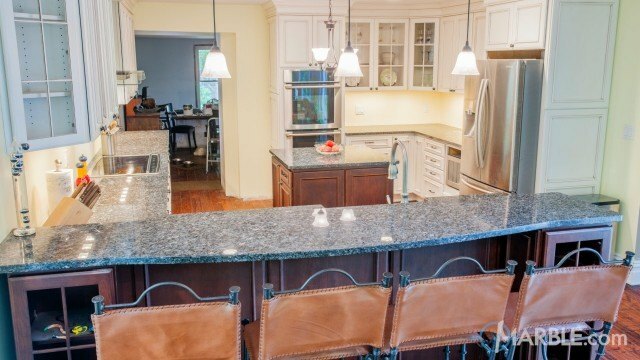 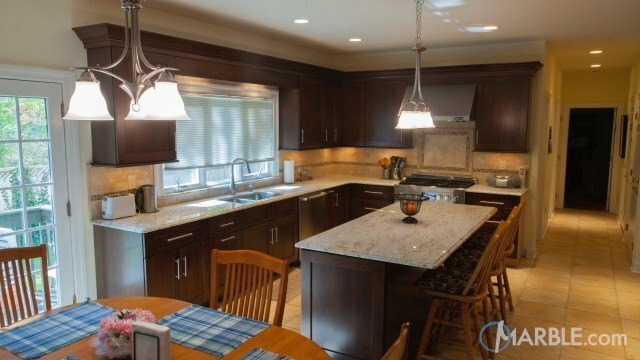 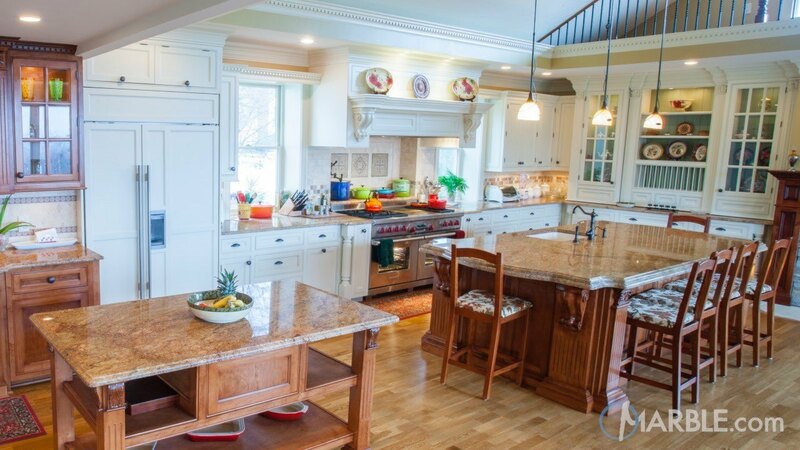 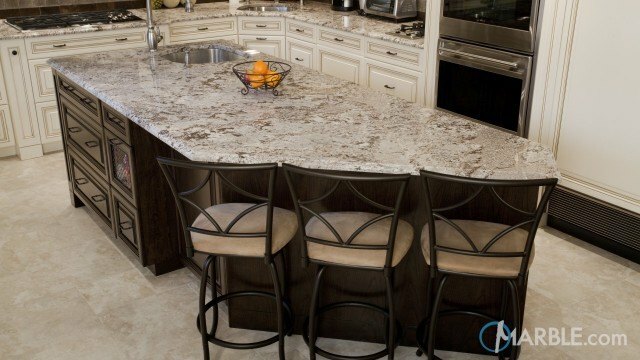 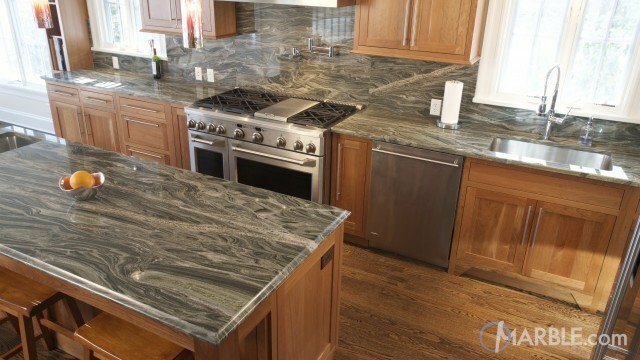 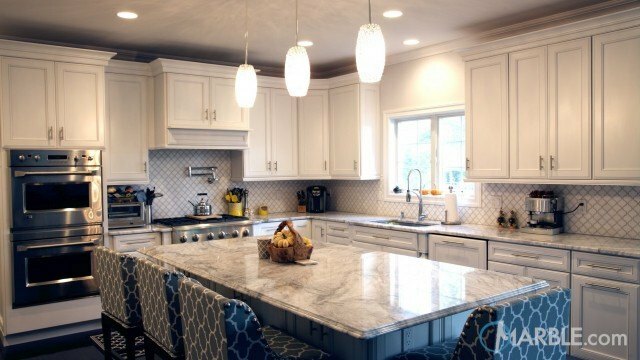 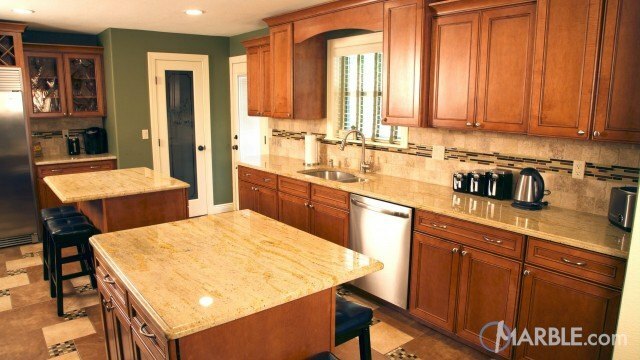 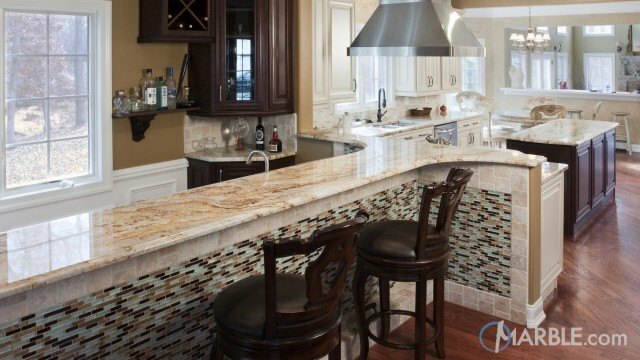 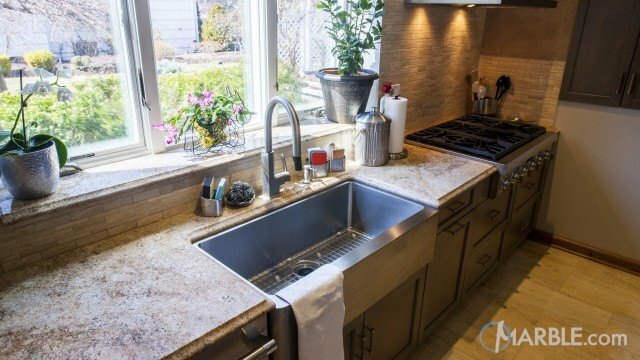 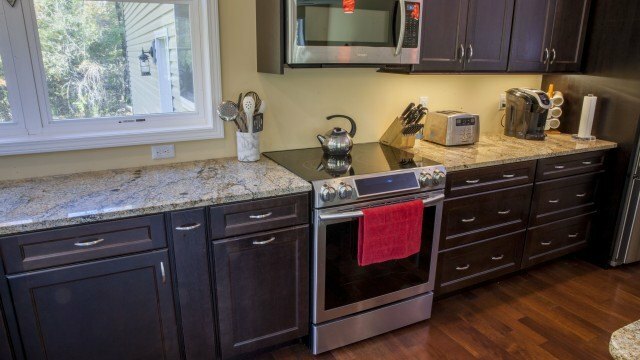 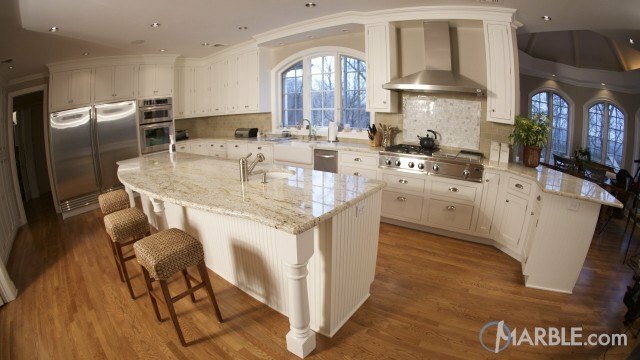 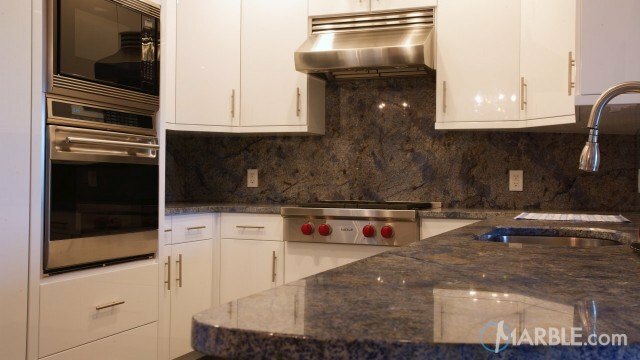 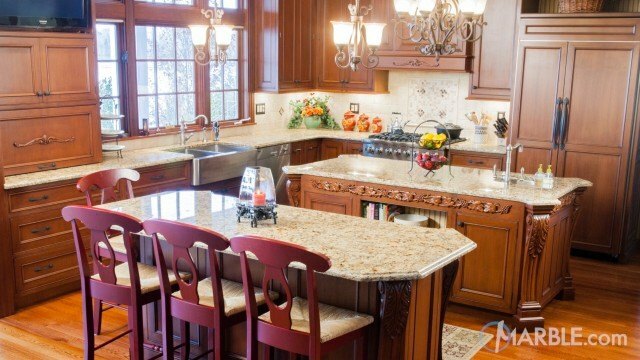 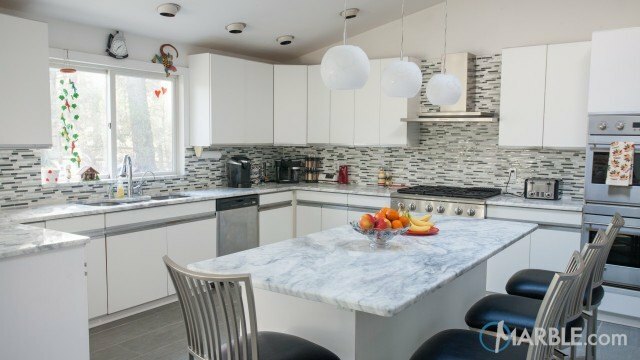 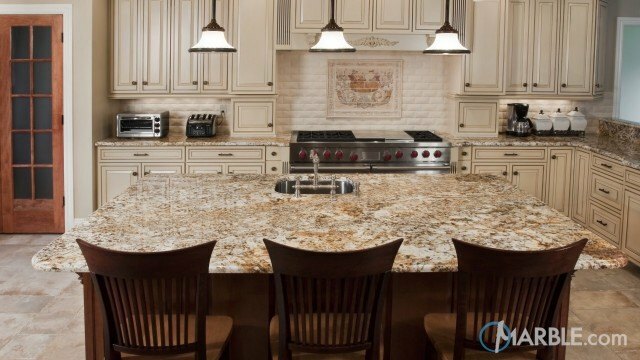 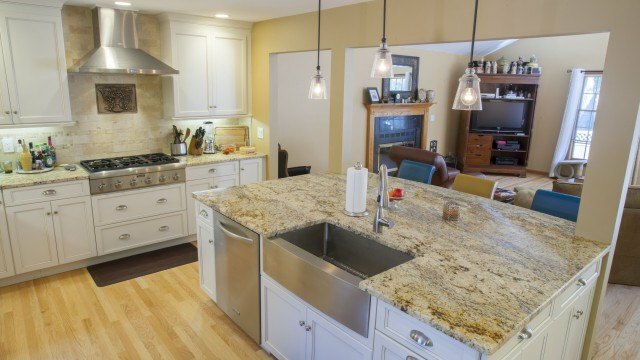 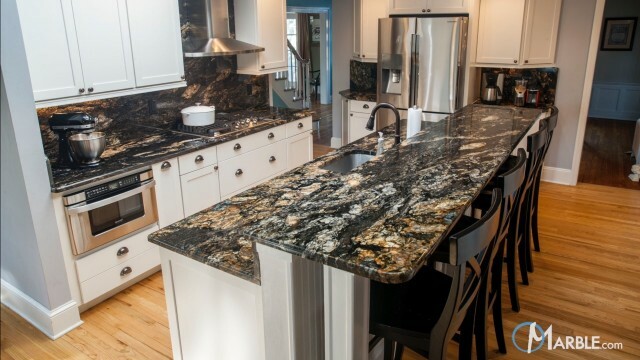 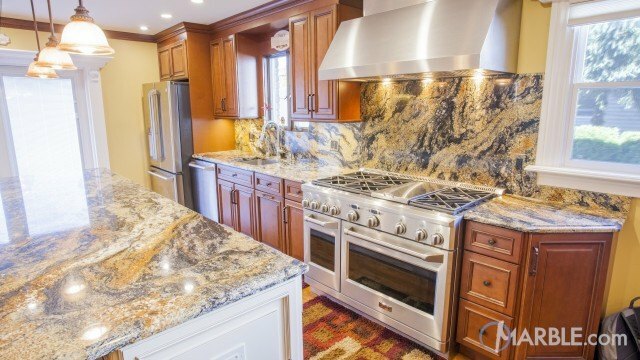 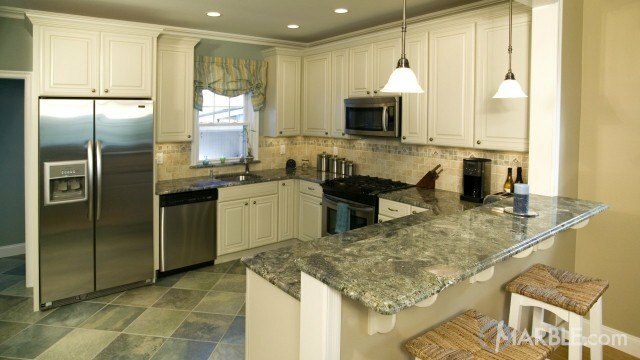 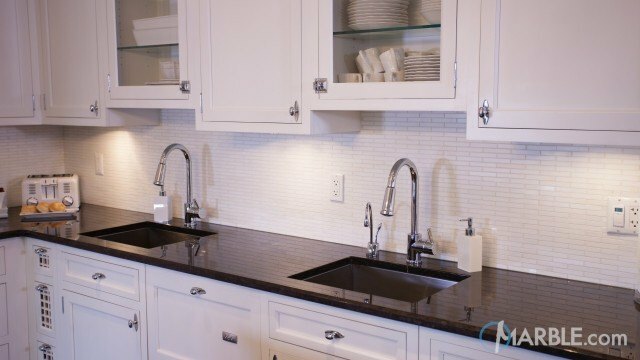 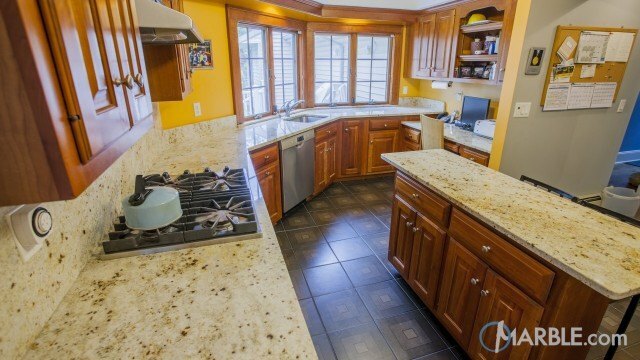 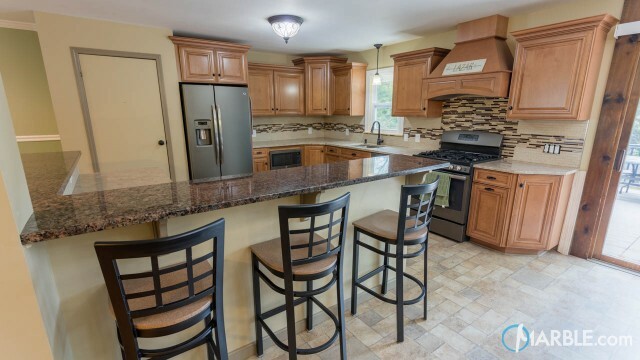 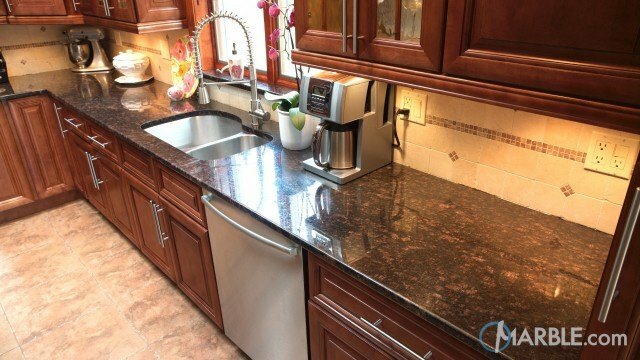 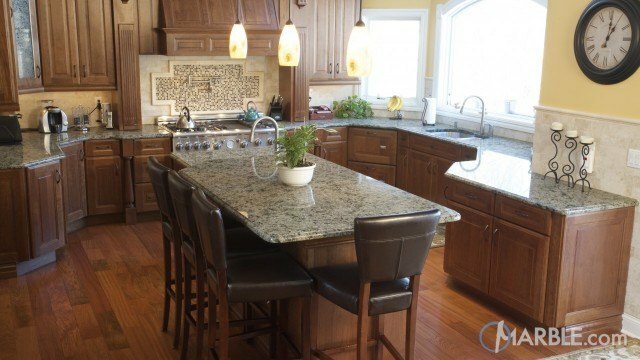 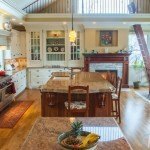 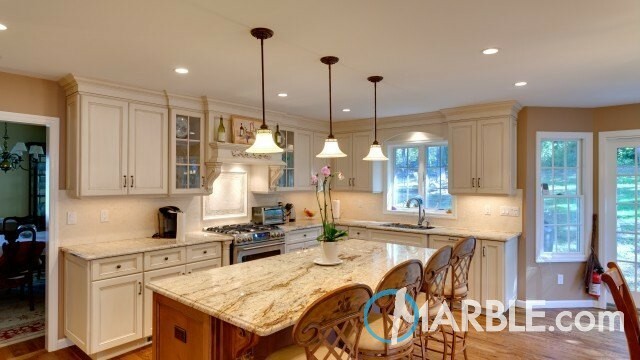 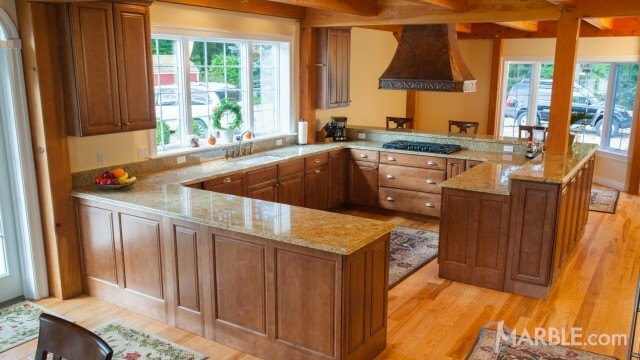 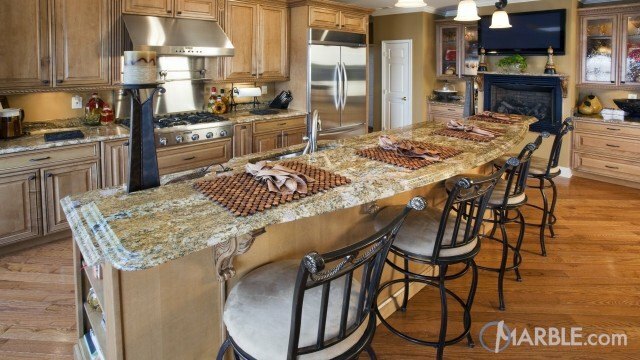 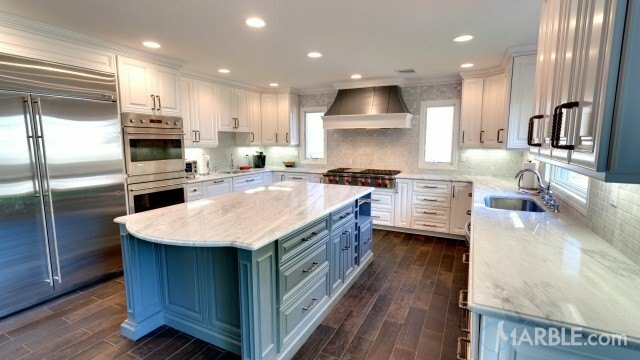 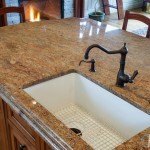 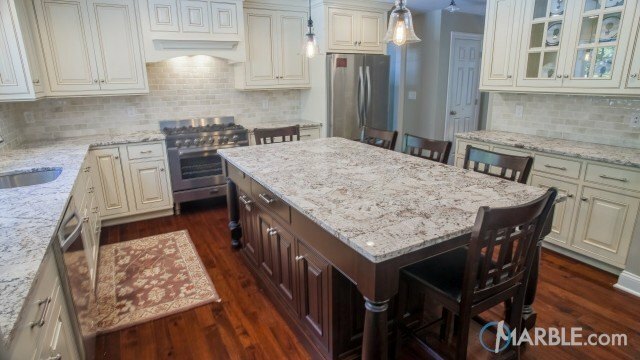 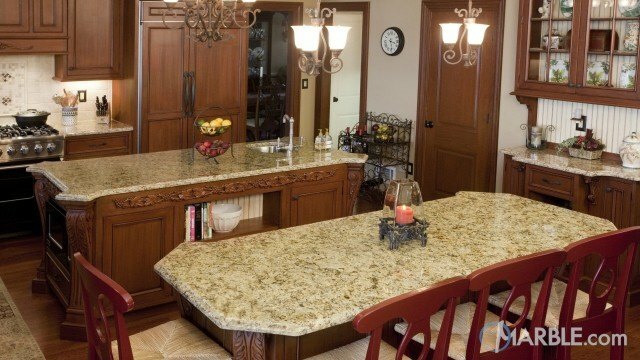 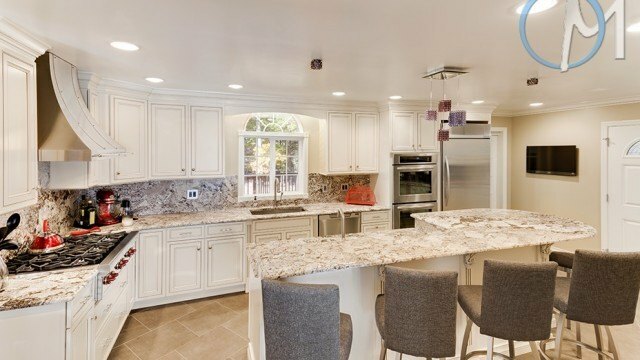 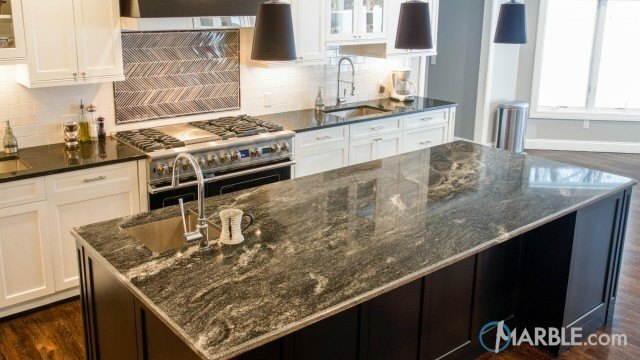 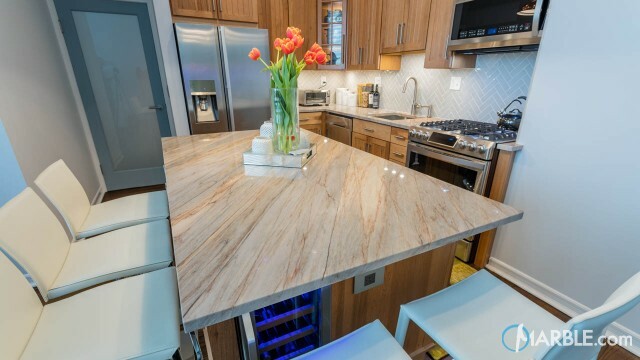 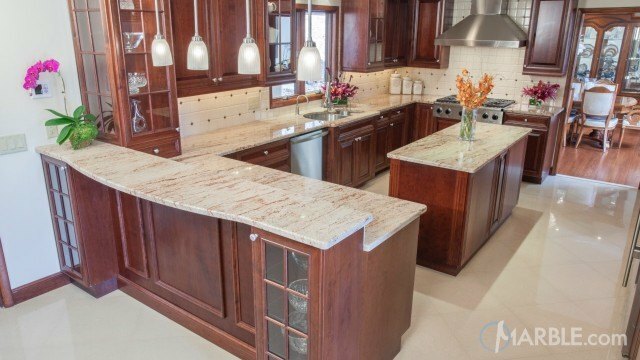 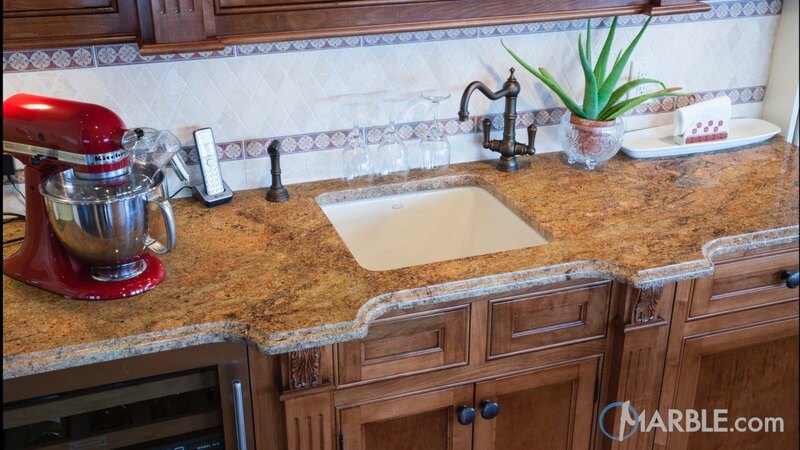 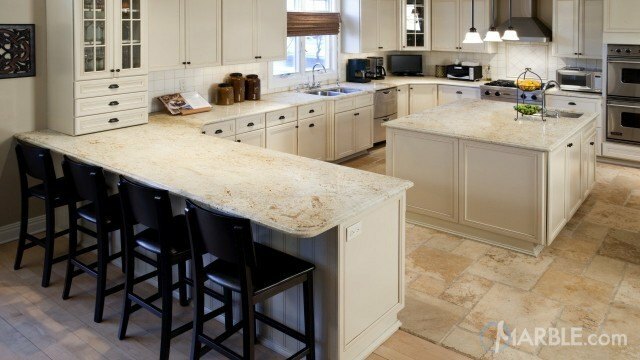 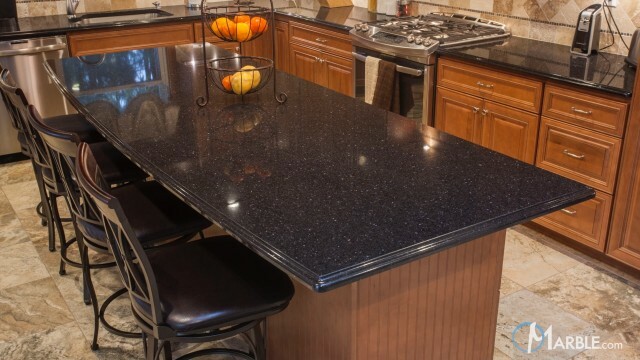 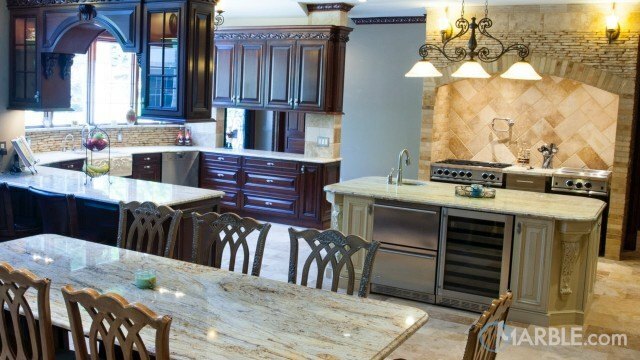 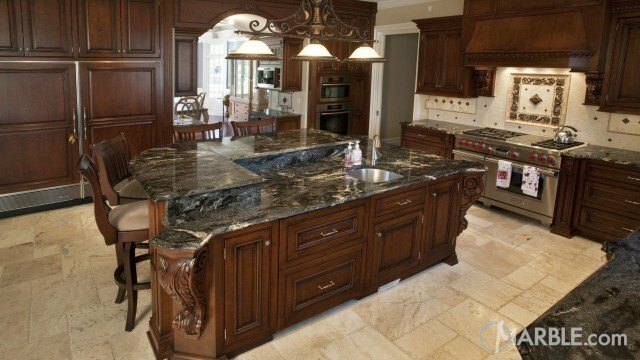 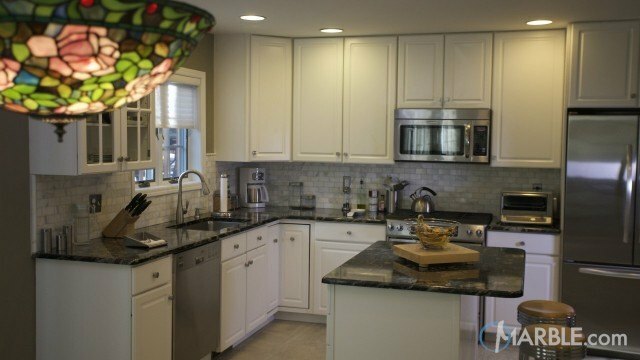 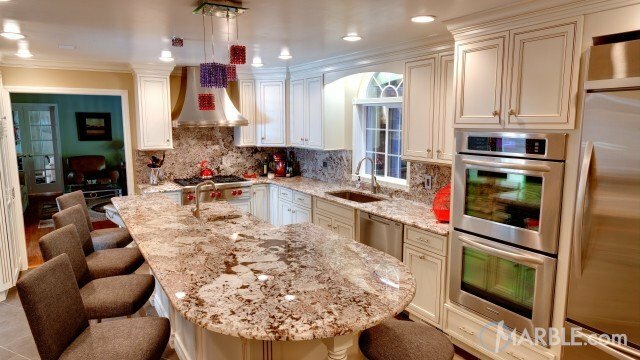 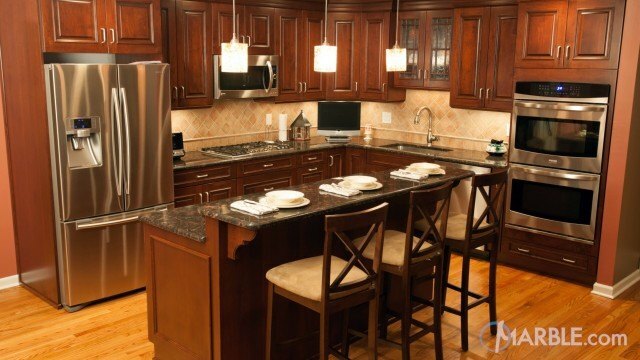 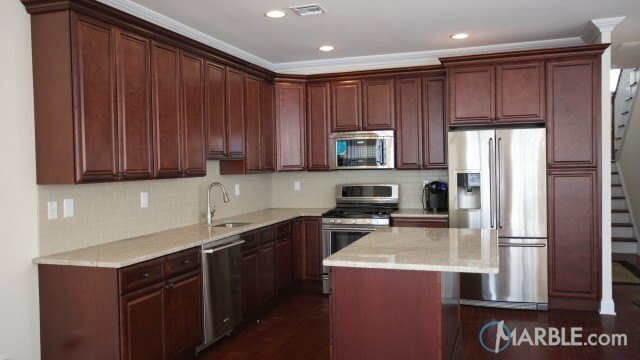 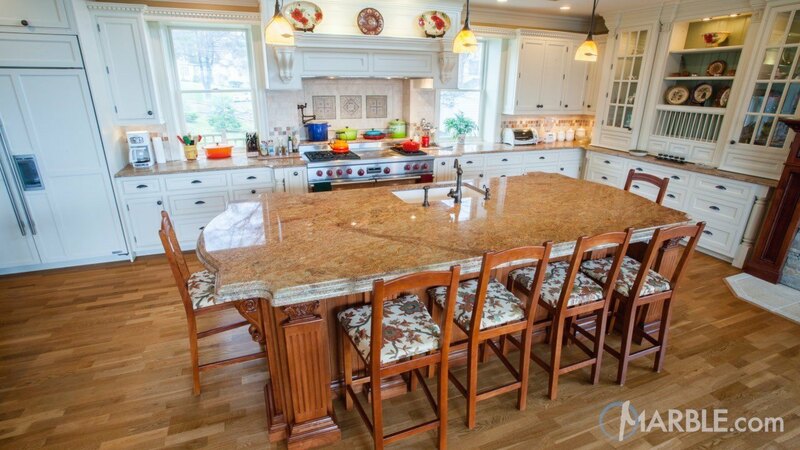 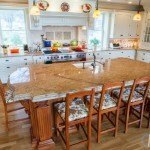 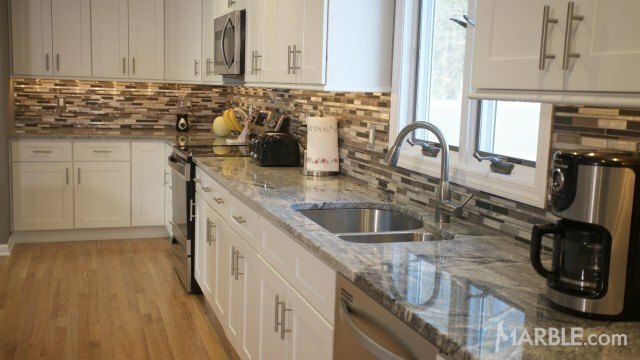 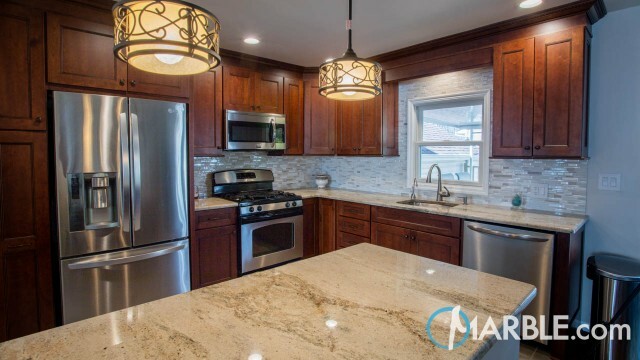 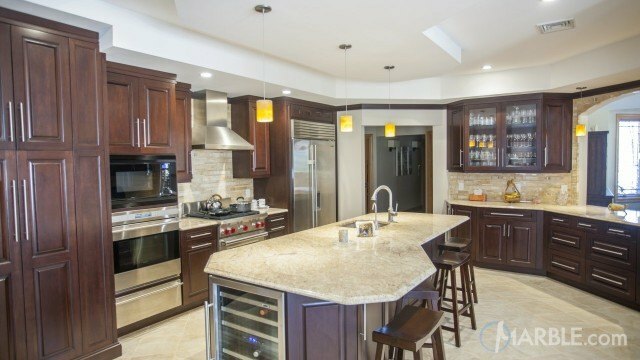 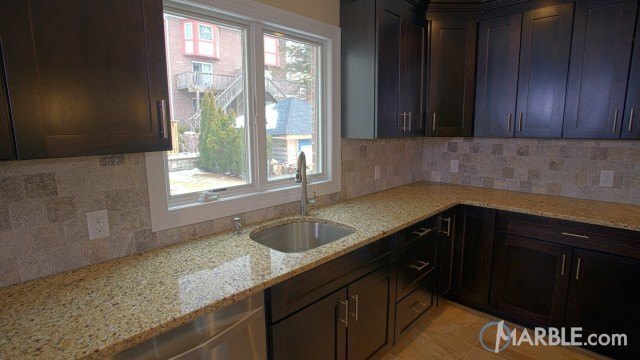 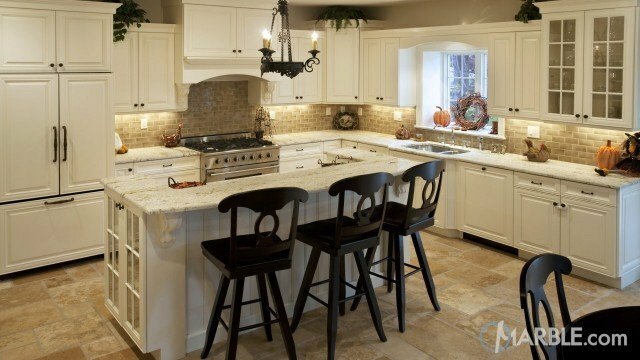 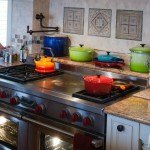 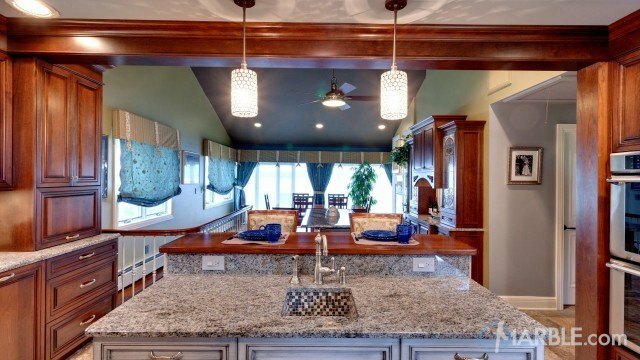 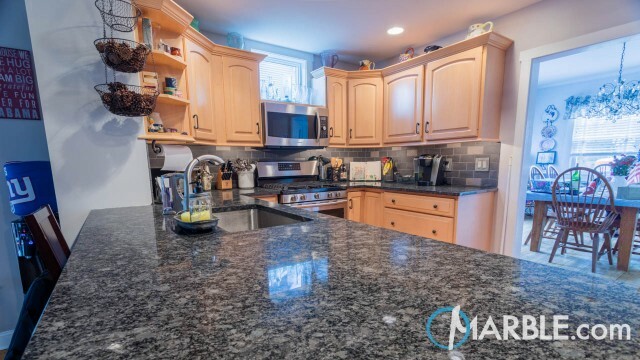 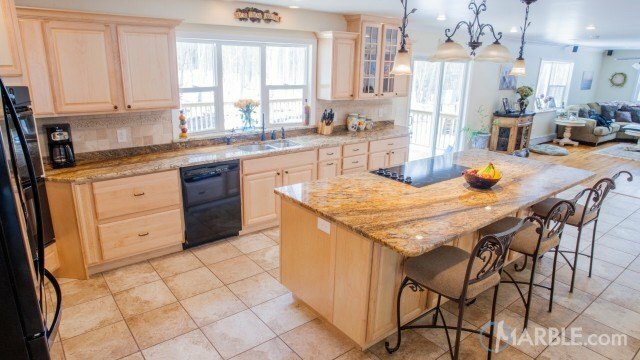 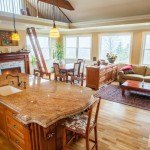 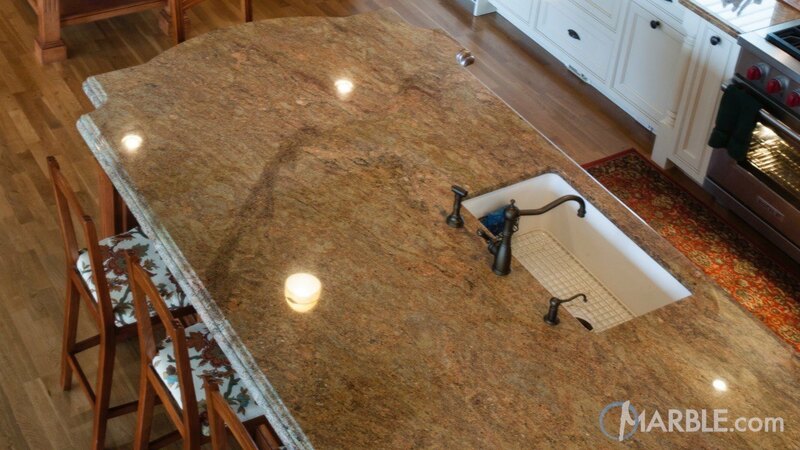 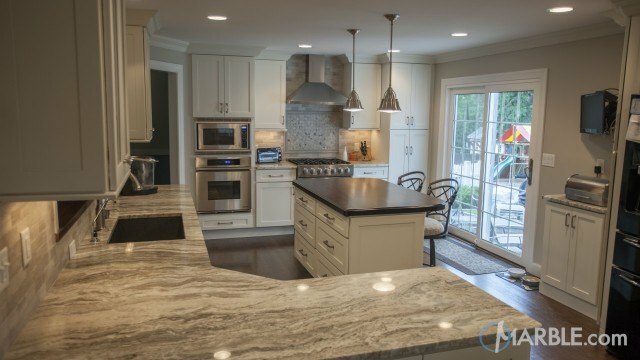 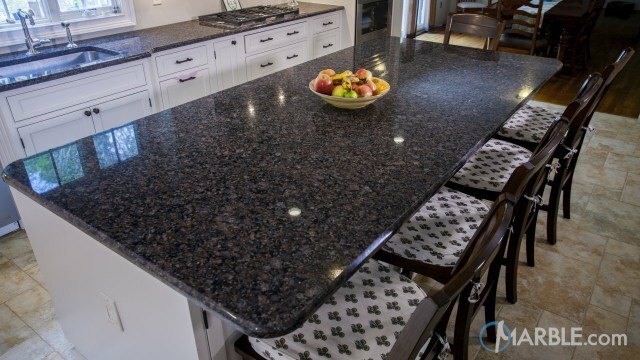 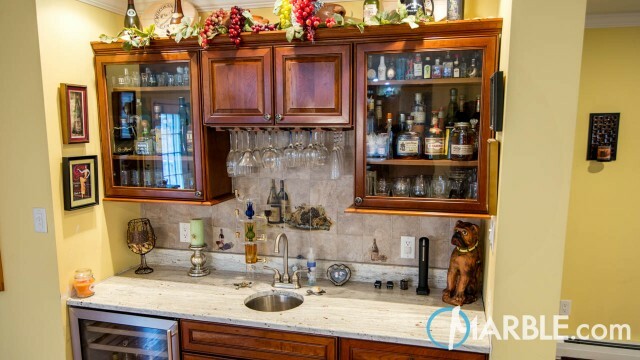 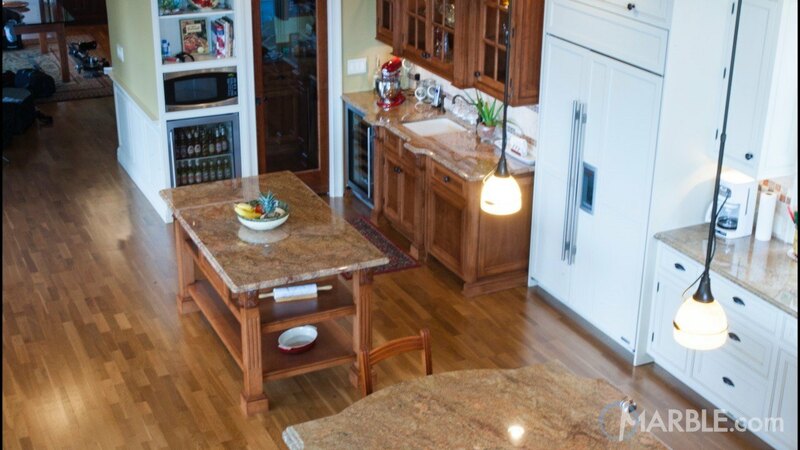 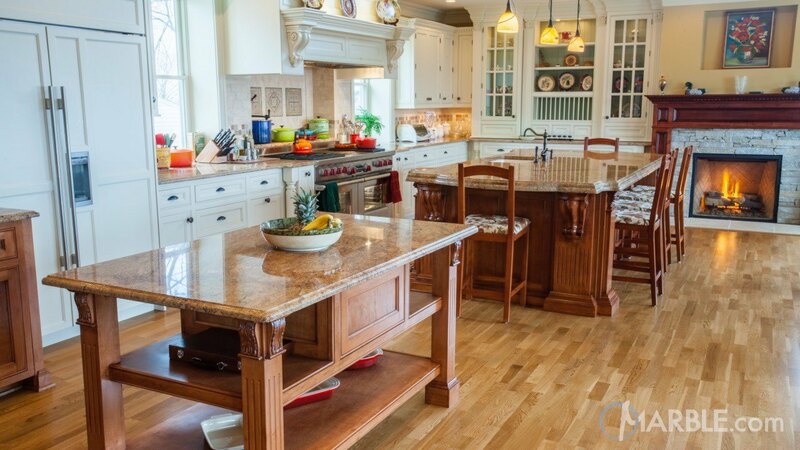 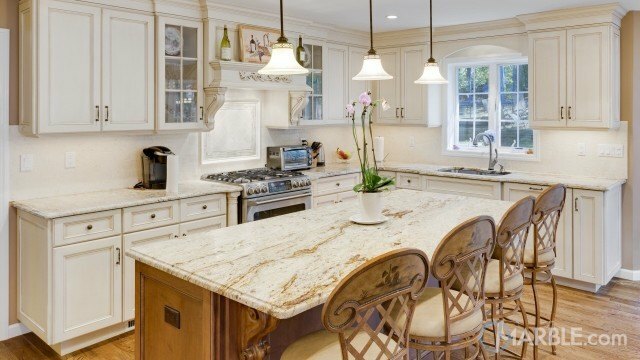 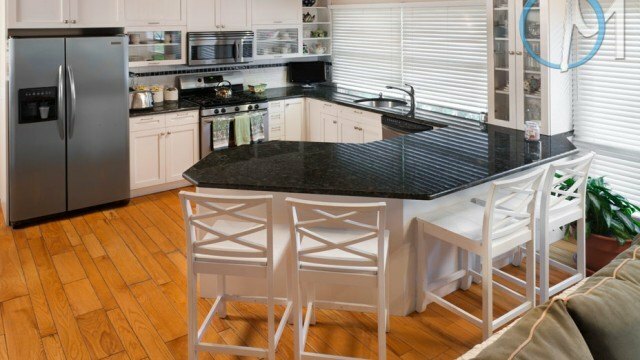 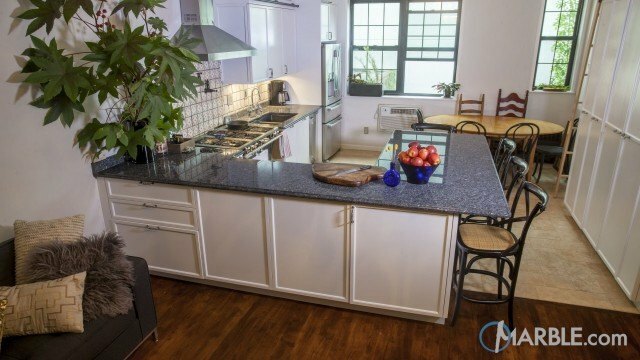 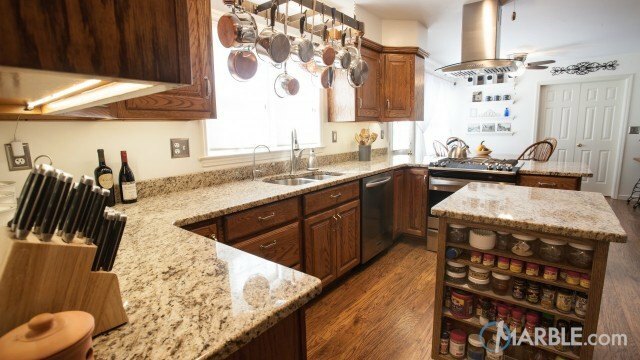 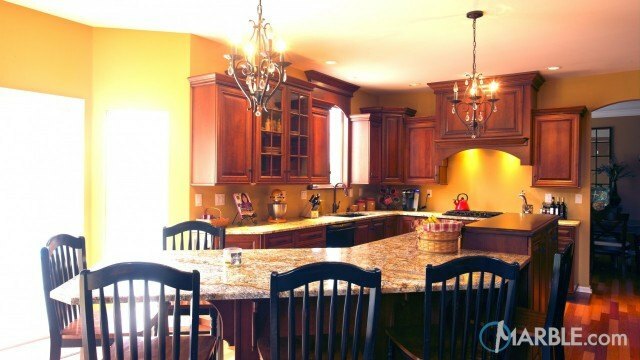 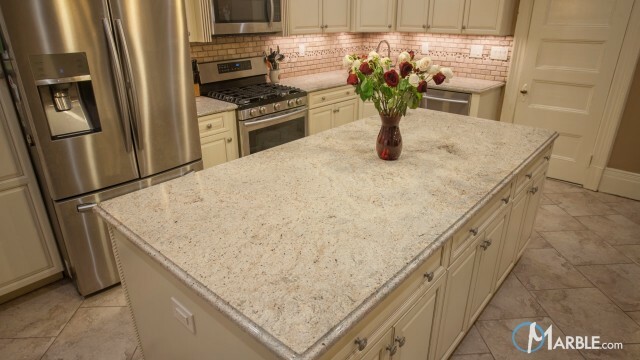 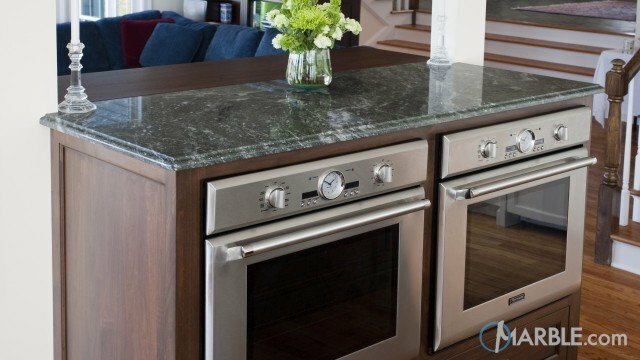 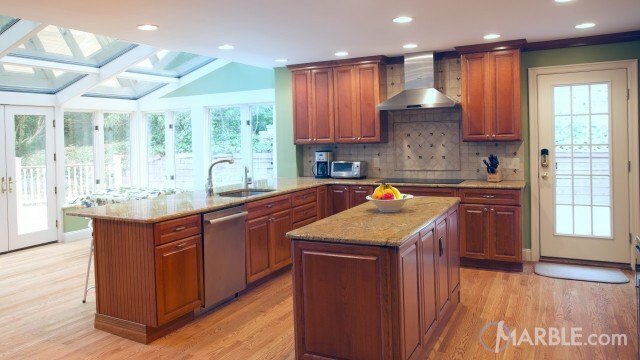 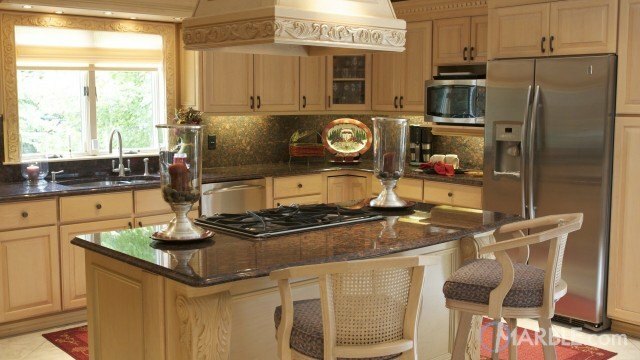 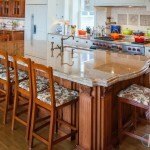 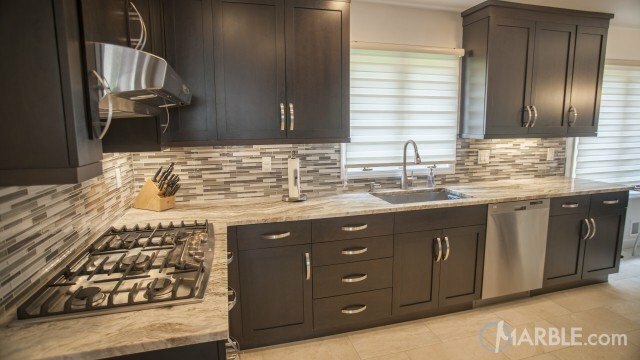 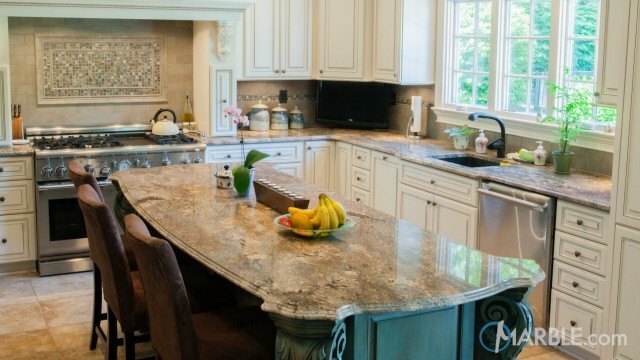 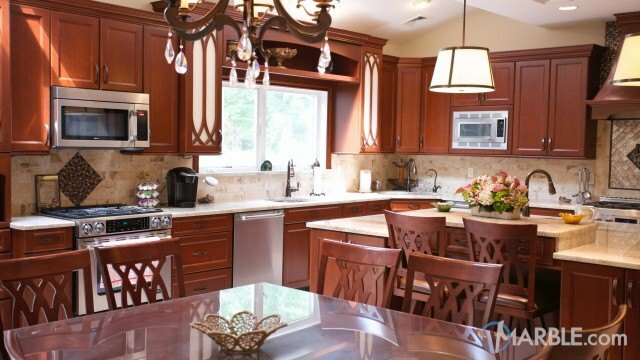 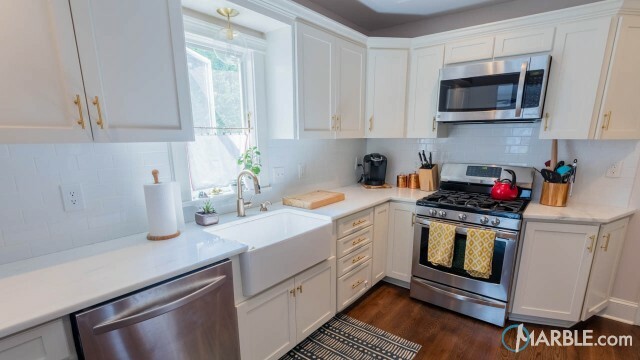 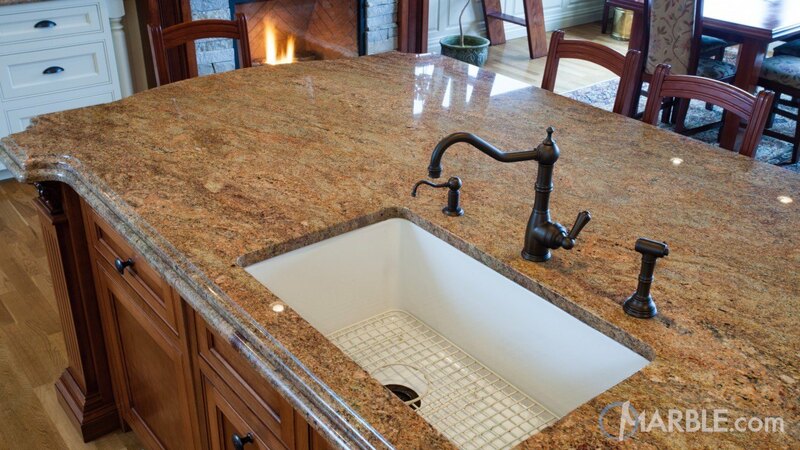 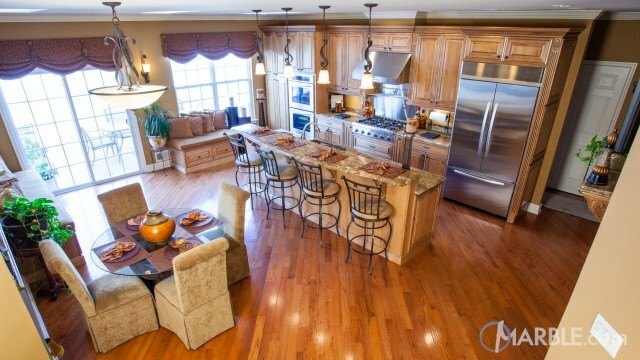 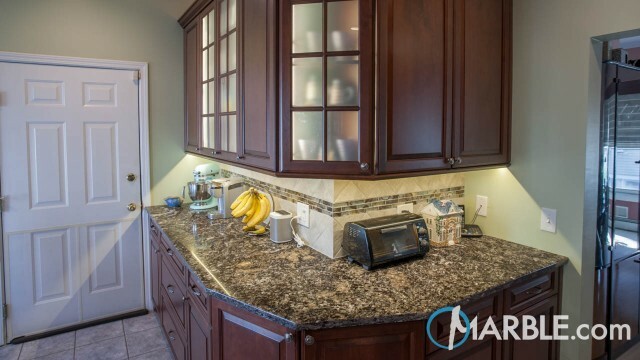 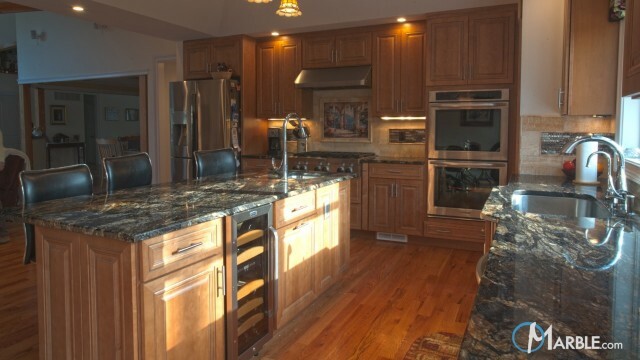 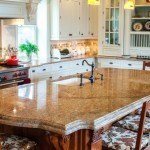 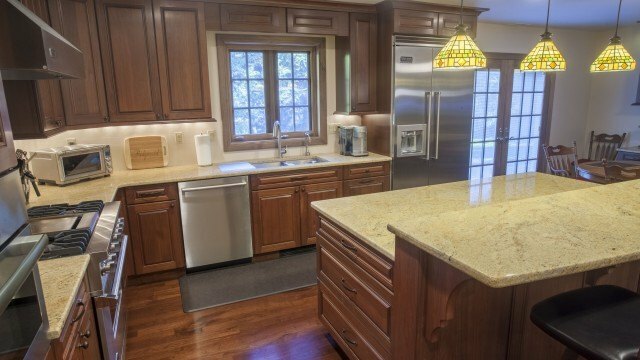 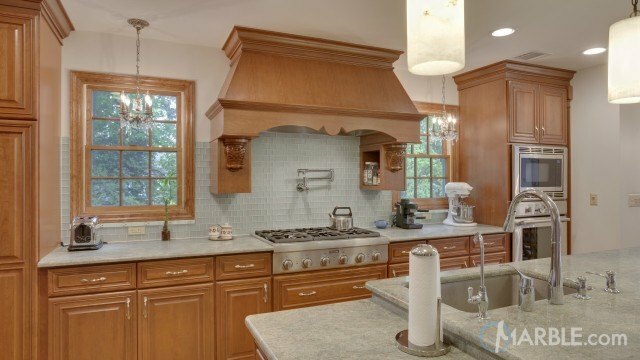 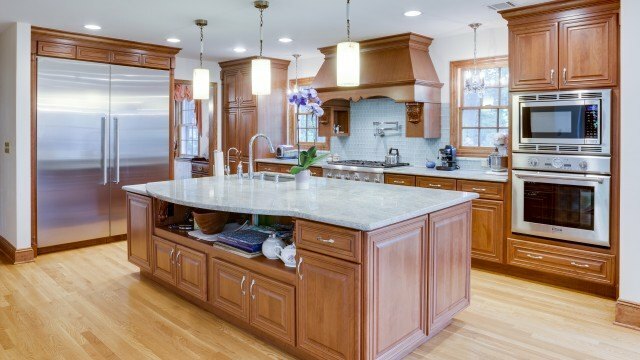 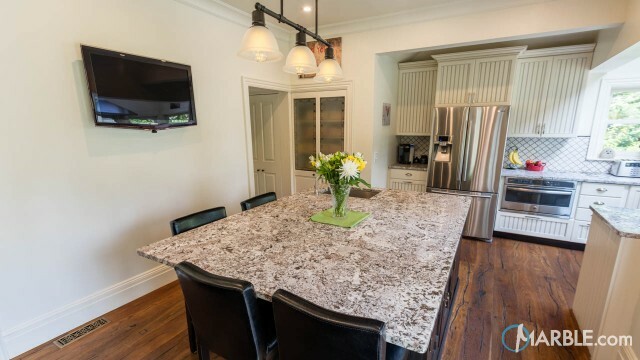 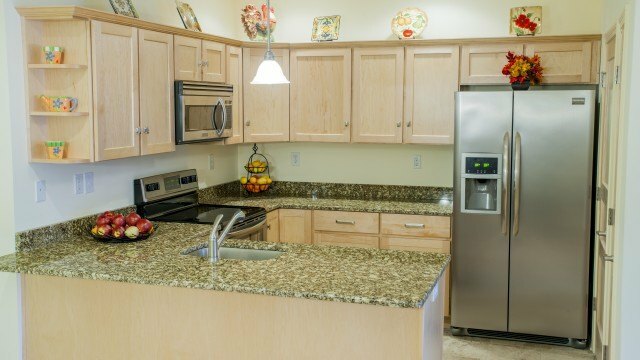 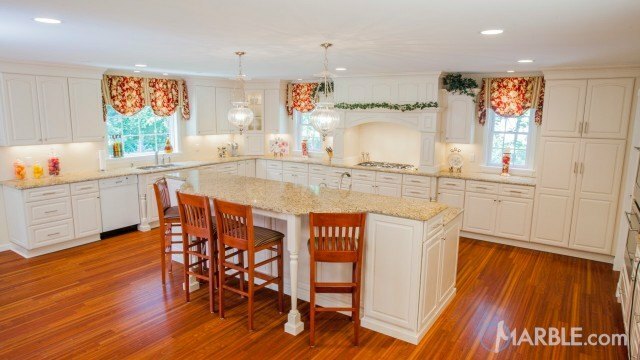 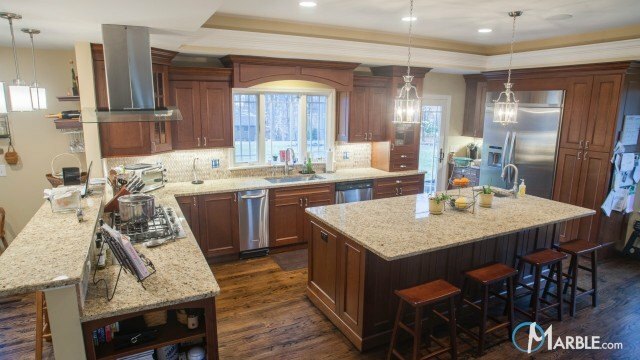 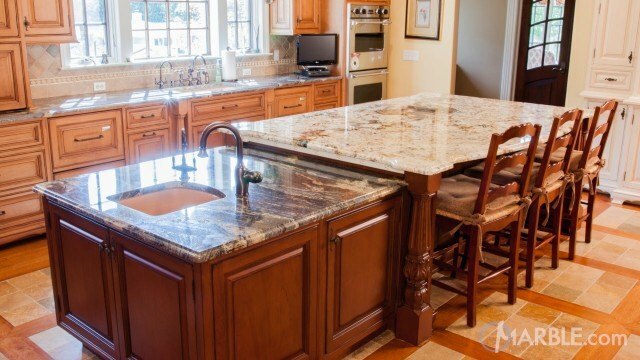 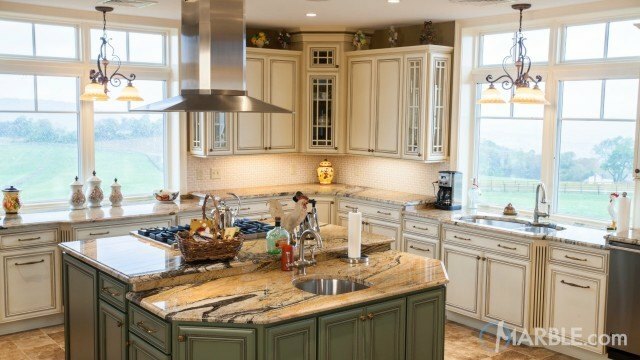 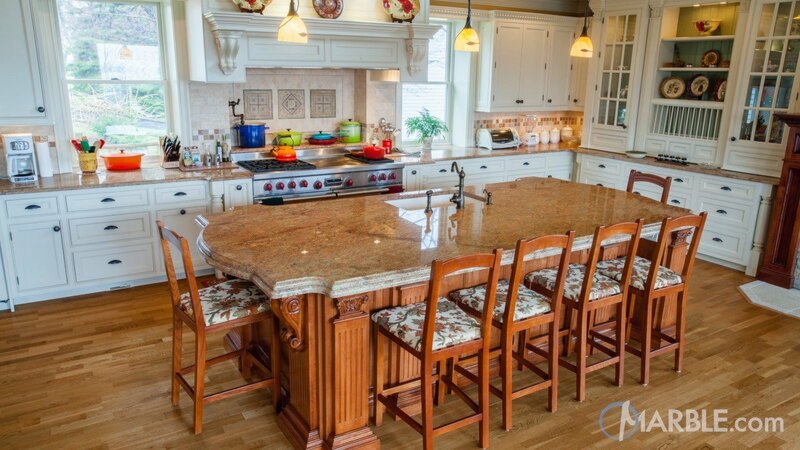 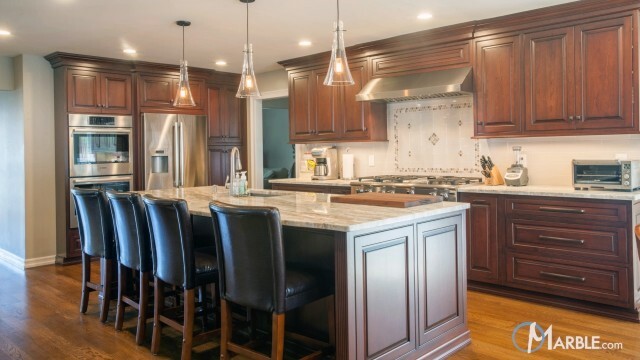 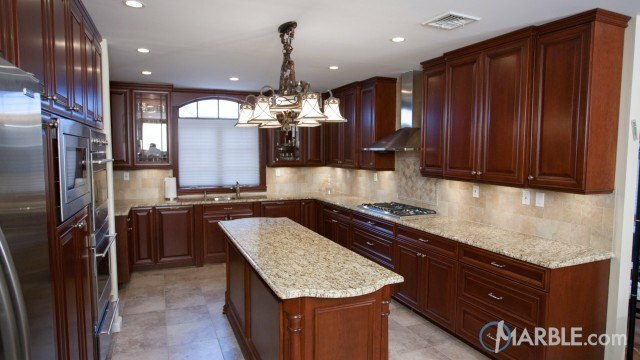 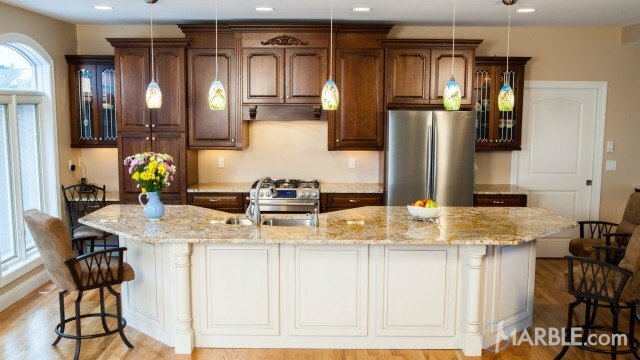 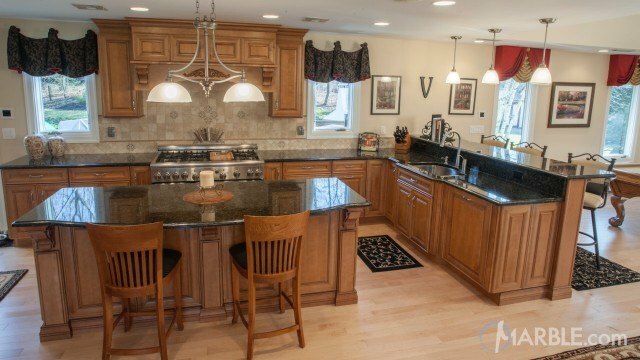 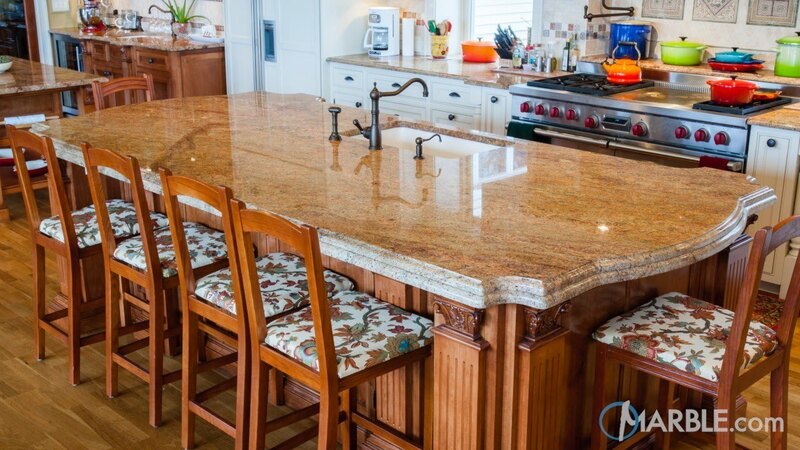 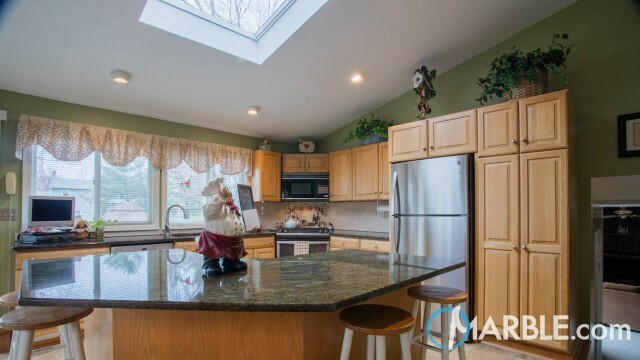 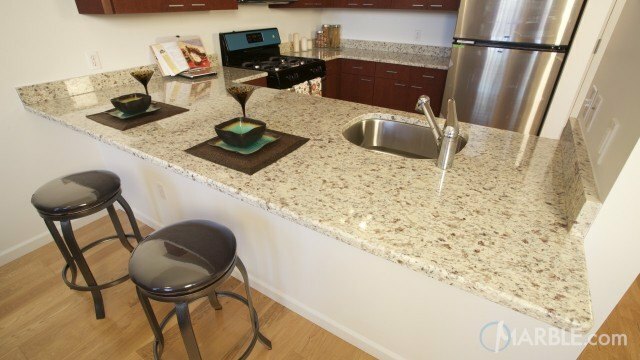 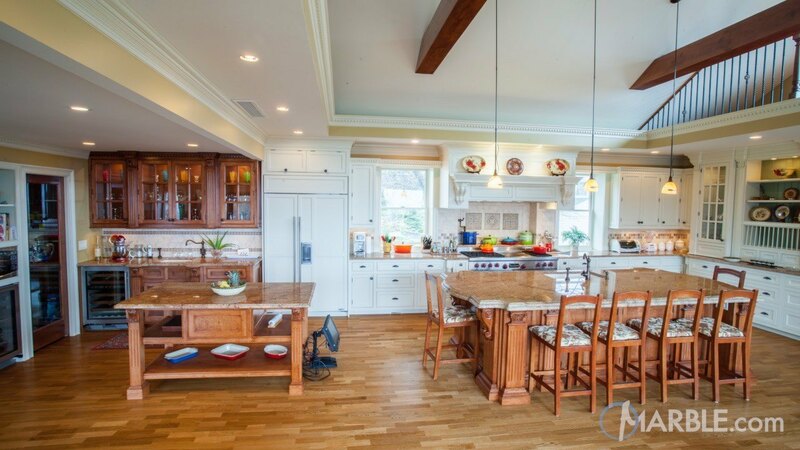 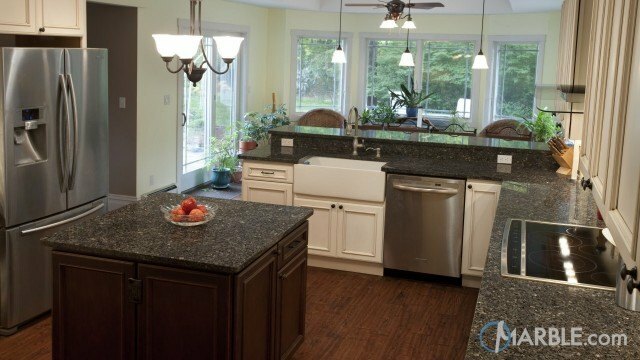 This stunning large kitchen features Madura Gold granite counter tops. 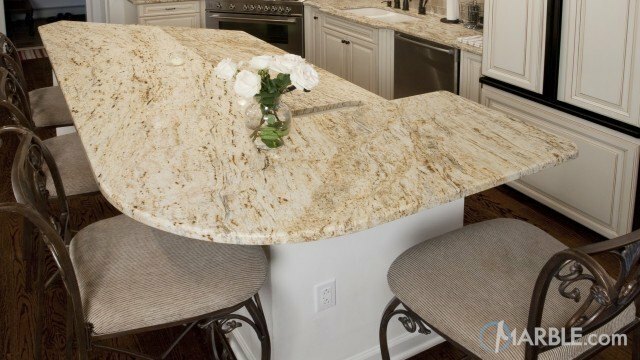 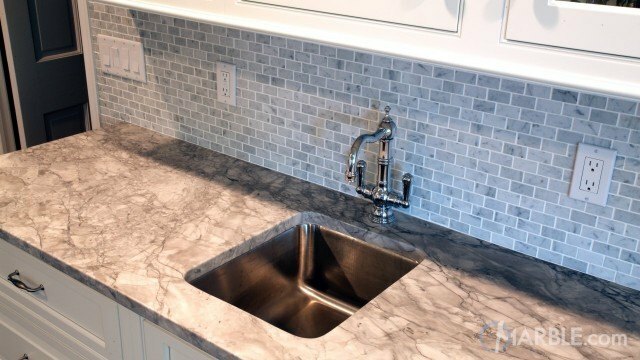 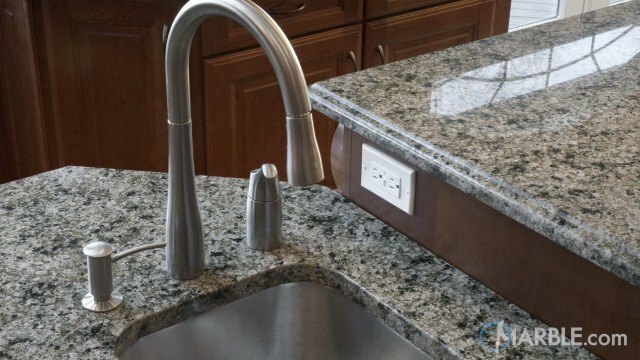 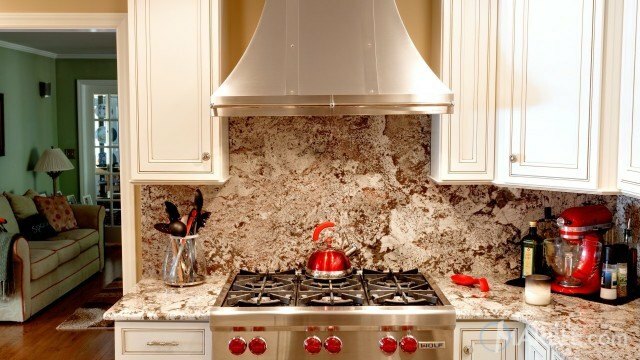 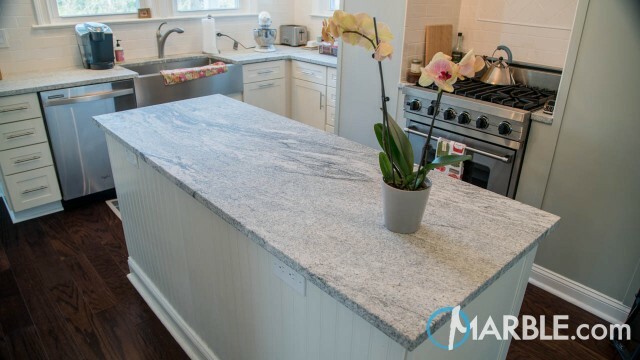 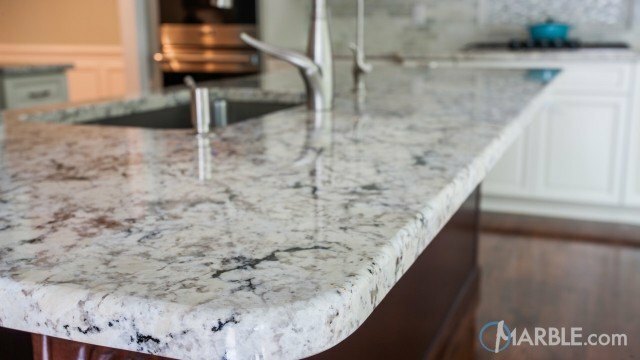 Madura Gold is one of our most popular granites and looks great in almost any setting. 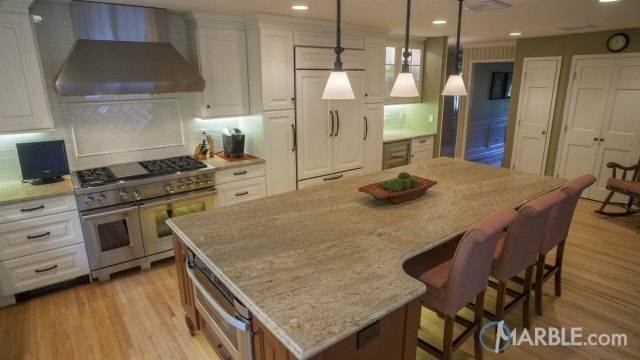 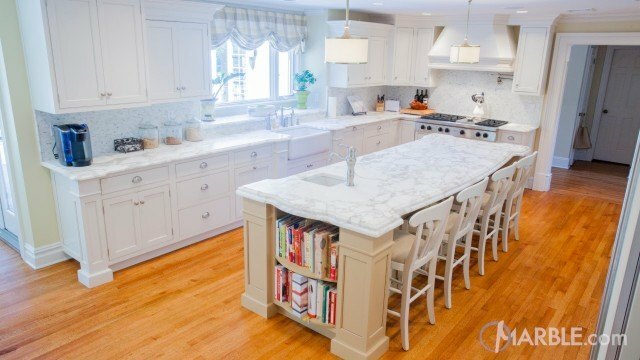 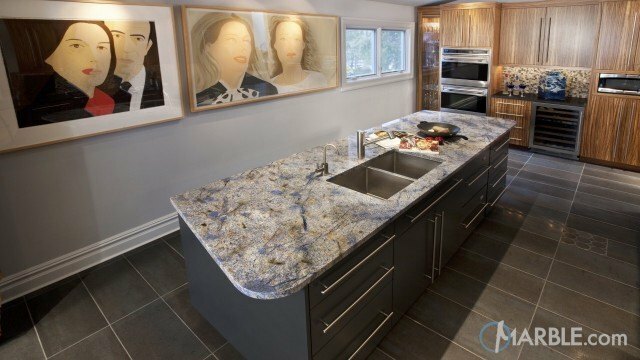 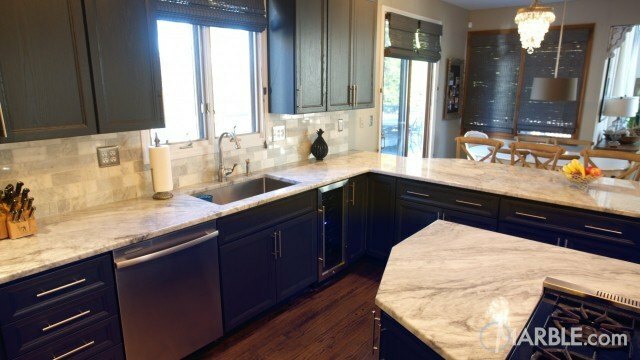 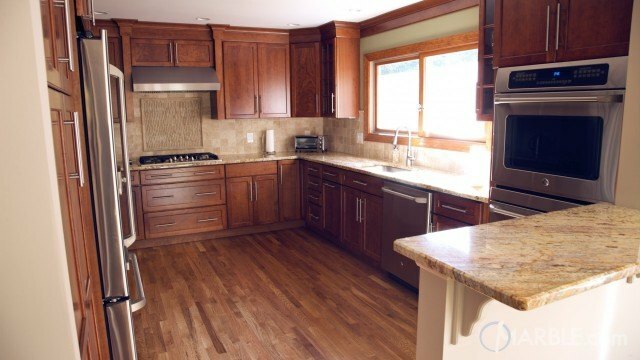 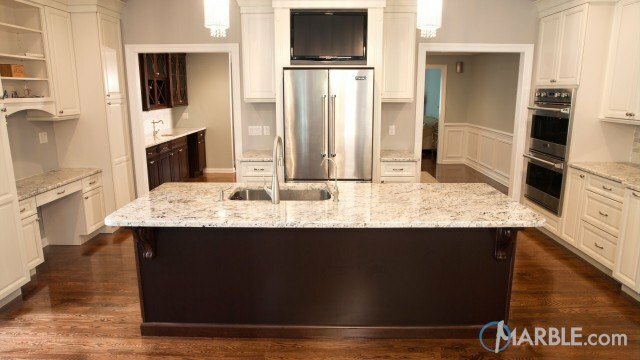 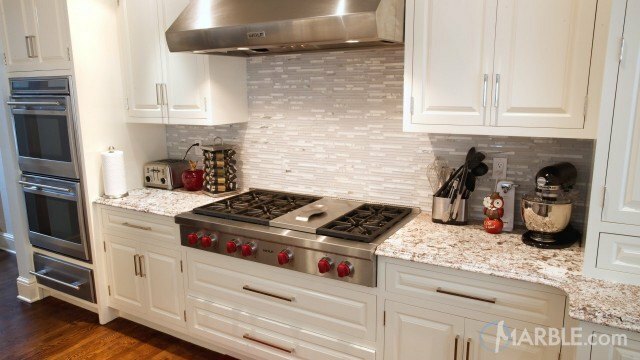 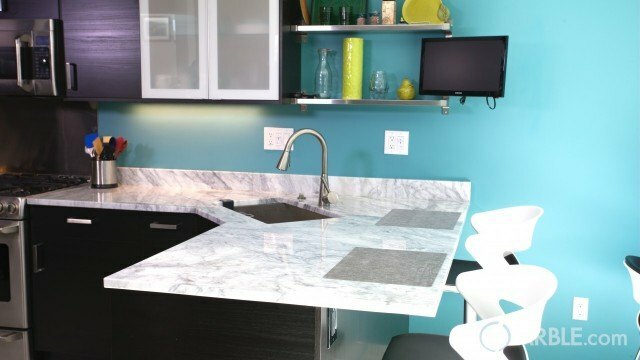 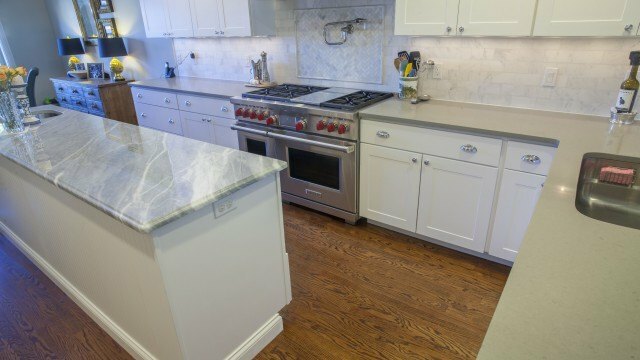 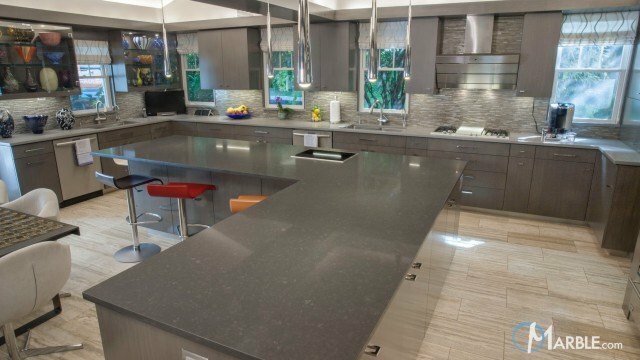 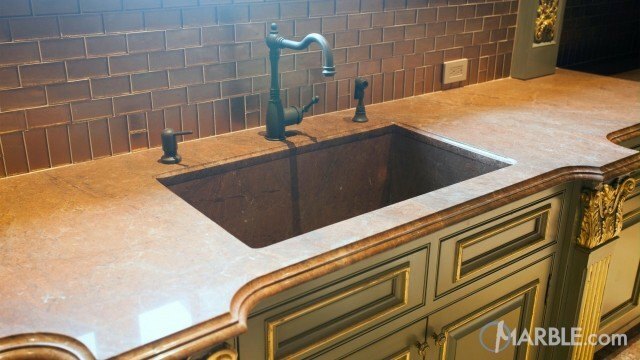 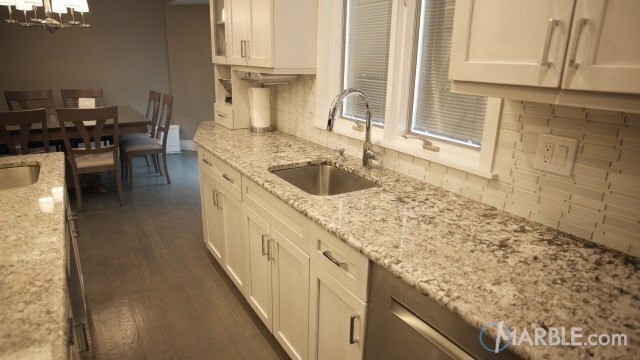 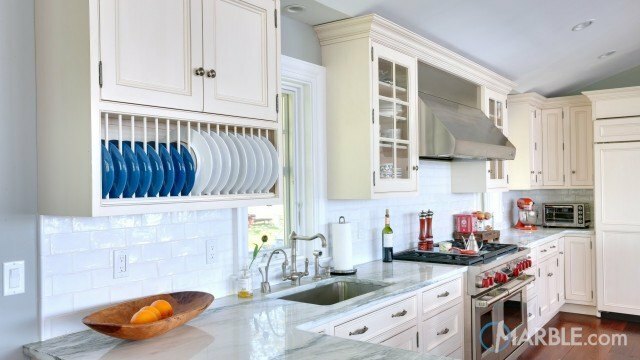 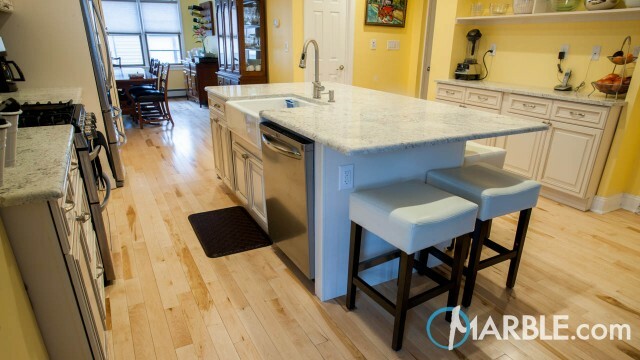 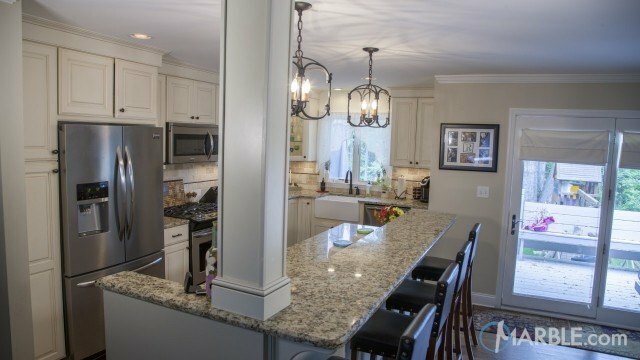 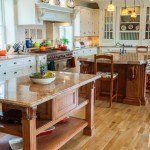 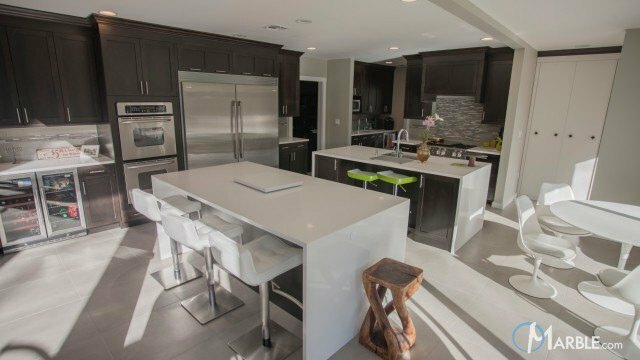 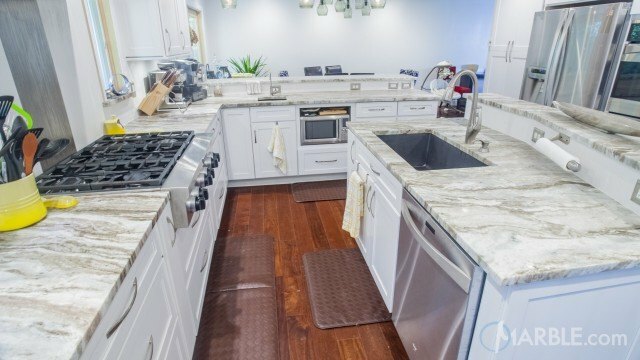 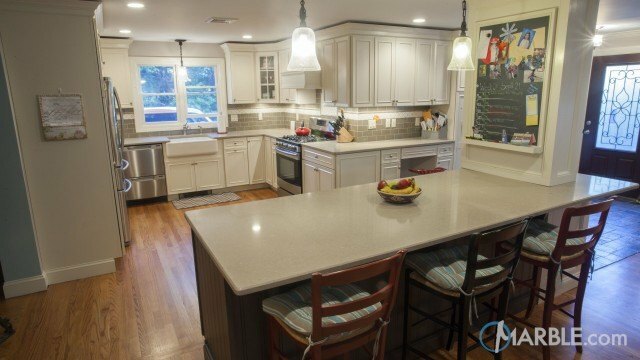 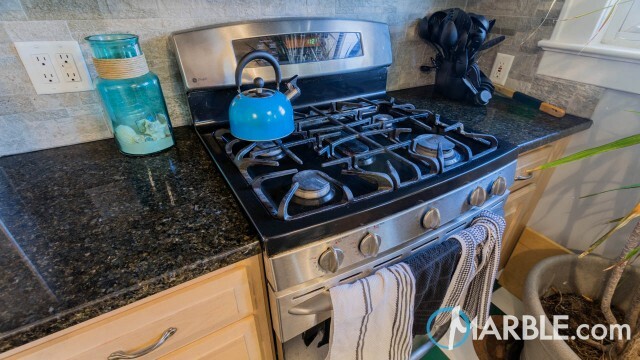 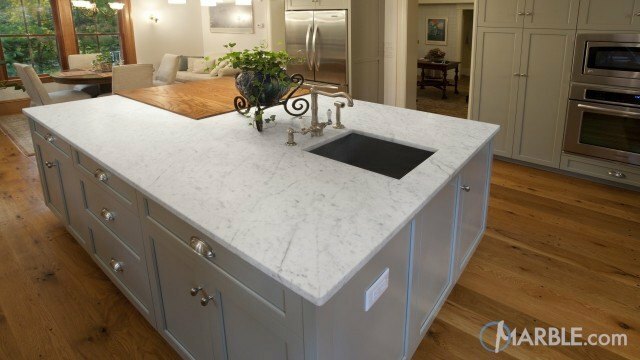 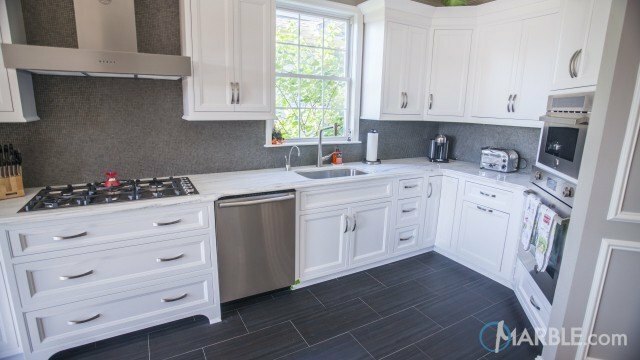 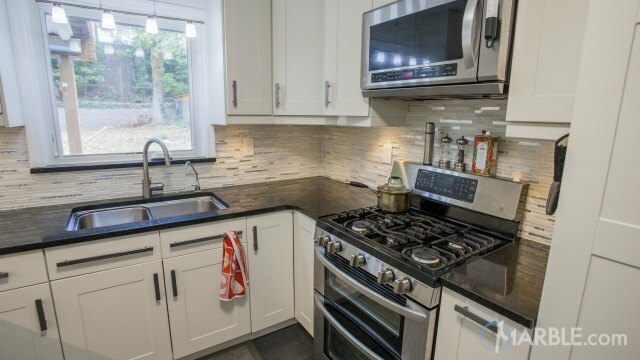 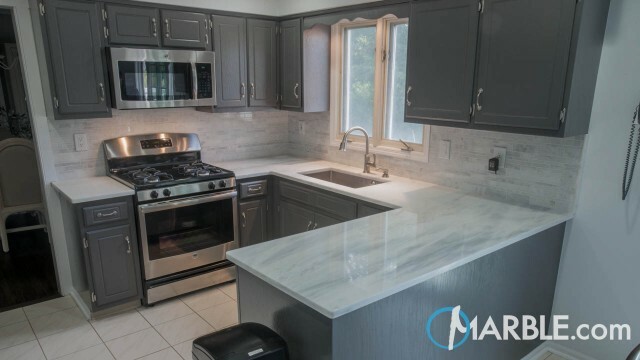 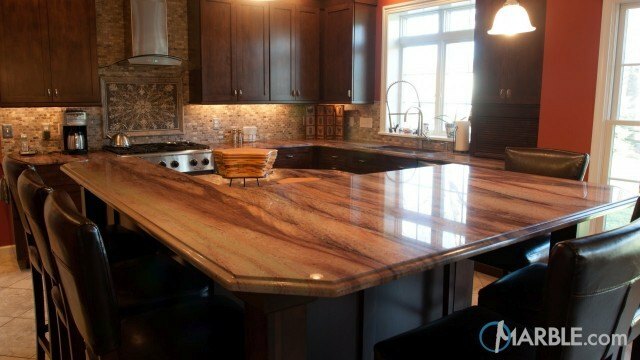 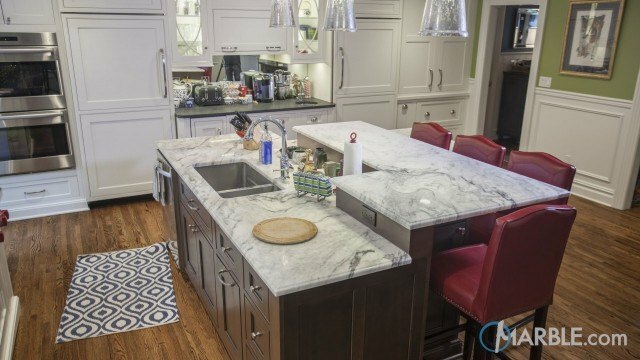 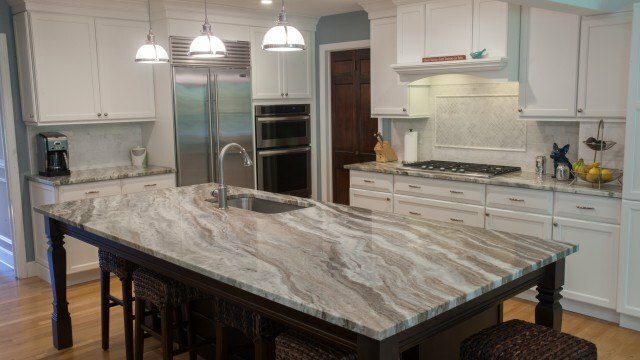 This kitchen has two islands, one of which, is a laminated edge featuring an Ogee over a Half Bullnose.